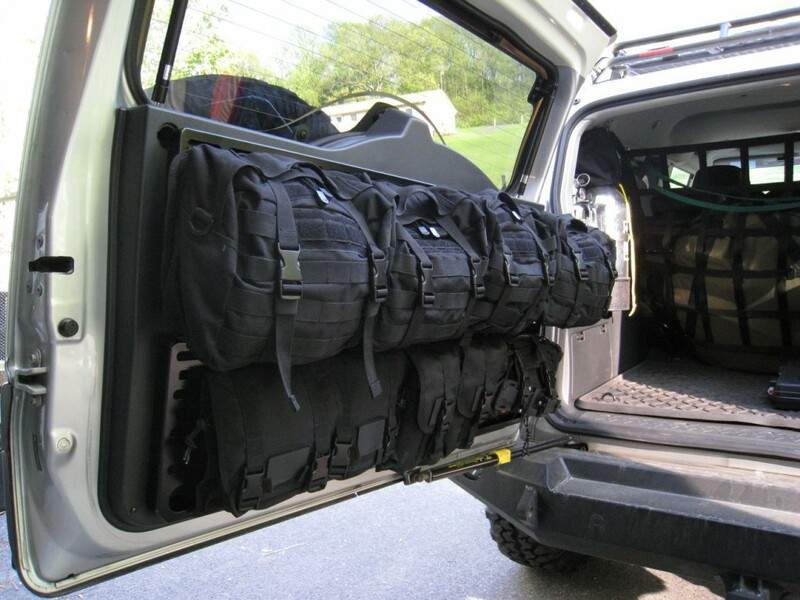 One of the best solutions for on-board storage in the FJ Cruiser is provided by a company called Springtail Solutions. I won’t go into too much detail here since I posted a complete review of their storage racks several months ago. 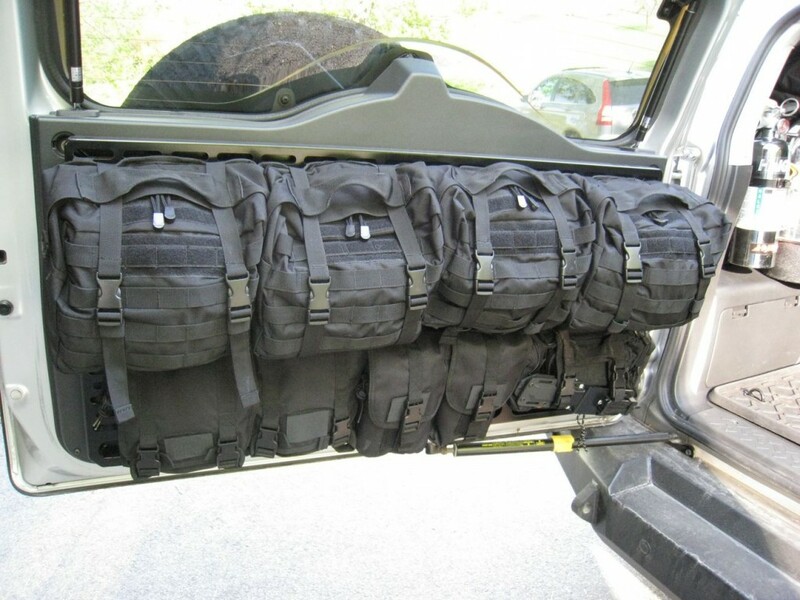 Suffice it to say, their rear door storage rack is a life-saver when it comes to the wide assortment of smaller items that I require for longer trips. 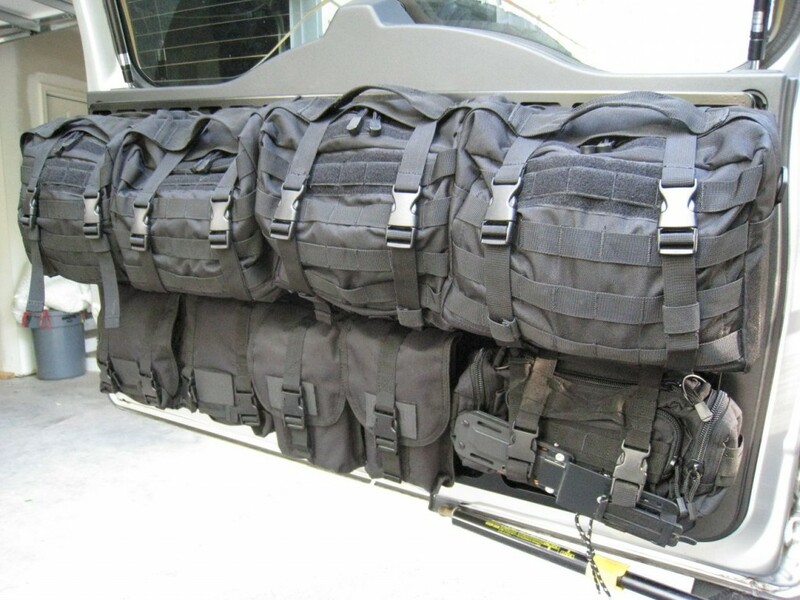 These racks, and the optional MOLLE bags that attach to them, have no problems supporting the weight requirements for items such as small tools, various camping supplies, and a well-rounded first aid kit. 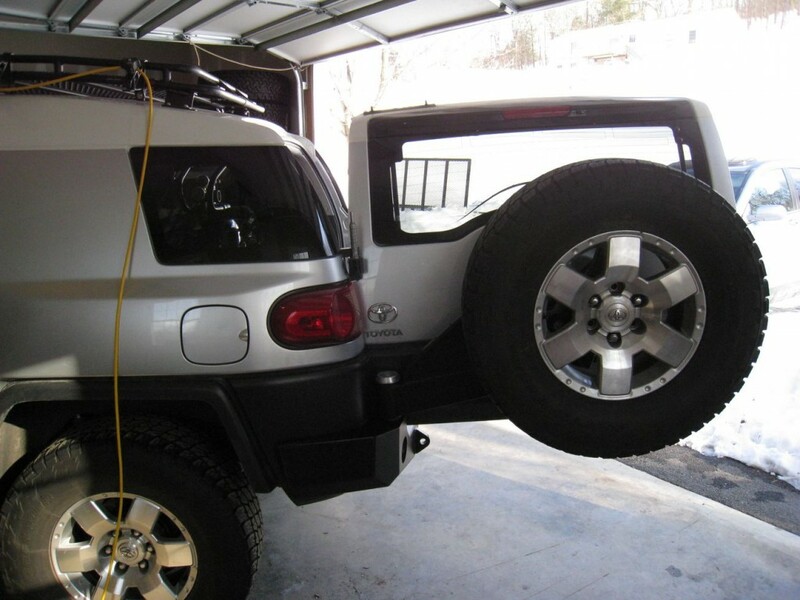 But by the time you add two of these racks, loaded with all the accompanying gear, to the FJ Cruiser’s rear door, the strain becomes somewhat noticeable. 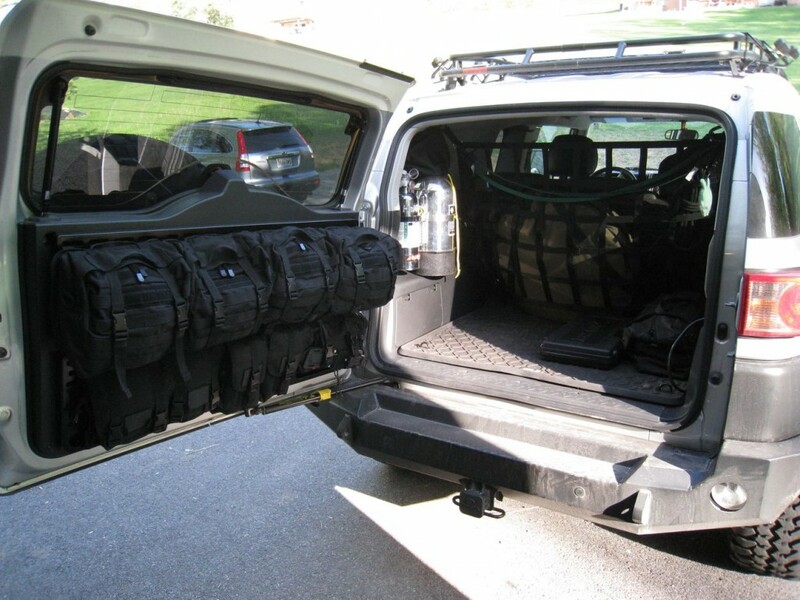 The weight of the internal gear, combined with the spare tire and wheel mounted on the outside of the door, is a bit more than the stock hinges can handle. This is especially true for those folks who have upgraded their tires and wheels to larger, heavier models, increasing the outside weight dramatically in some cases. 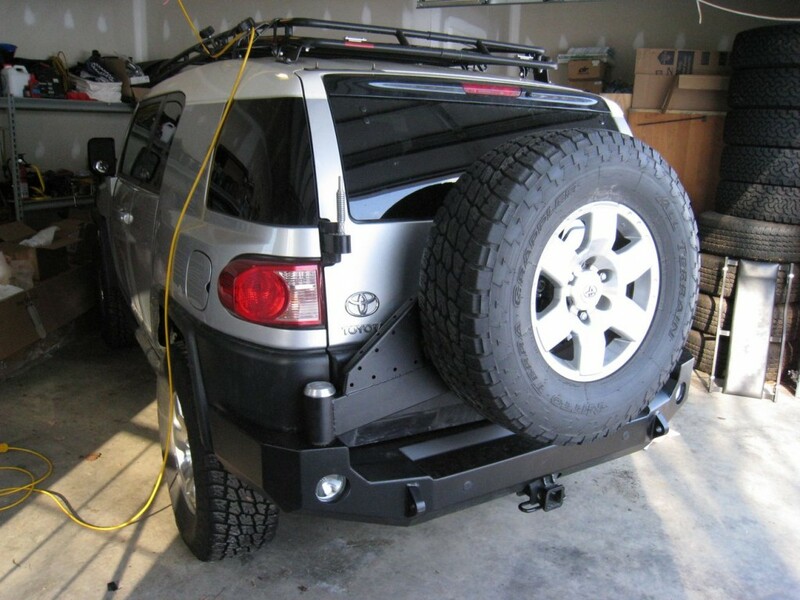 The Expedition One rear bumper is available without the rear tire carrier, but since my main goal was to reduce weight on the rear door, the optional tire carrier portion was essential. 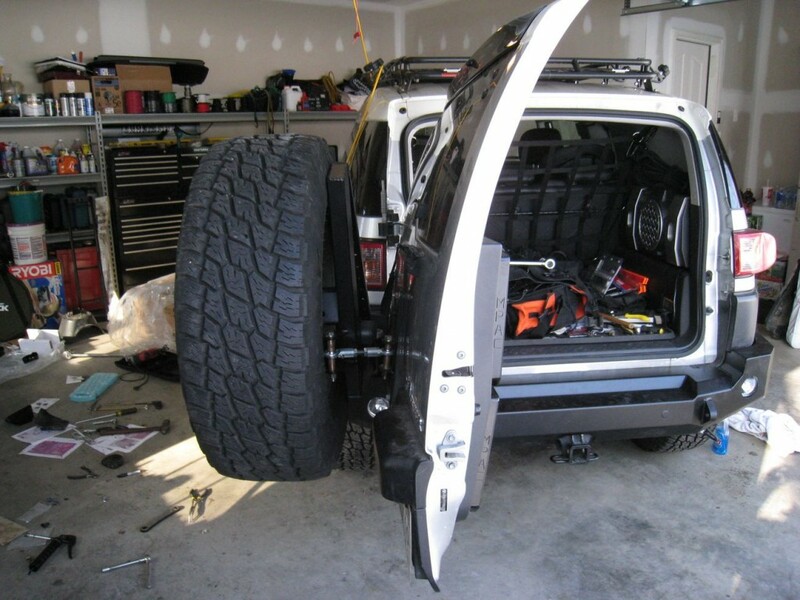 Another substantial advantage of the Expedition One design is their custom coupling system that allows the tire carrier swing arm to swing in sync with the FJ Cruiser’s rear door. 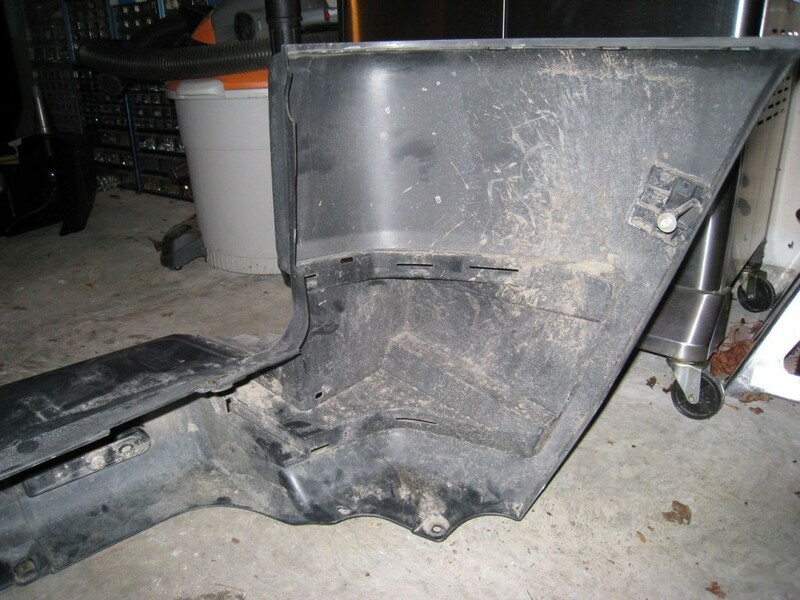 Many of the other bumper manufacturers rely on one or two swing-out arms that have to be manually unlatched and swung out of the way, before the rear door can be opened. The Expedition One design is the only one I’ve seen so far that allows FJ Cruiser owners to open the rear door just as it was from the factory. This particular design was also one of the top choices in terms of aesthetic appeal, matching the FJ’s body lines quite well. 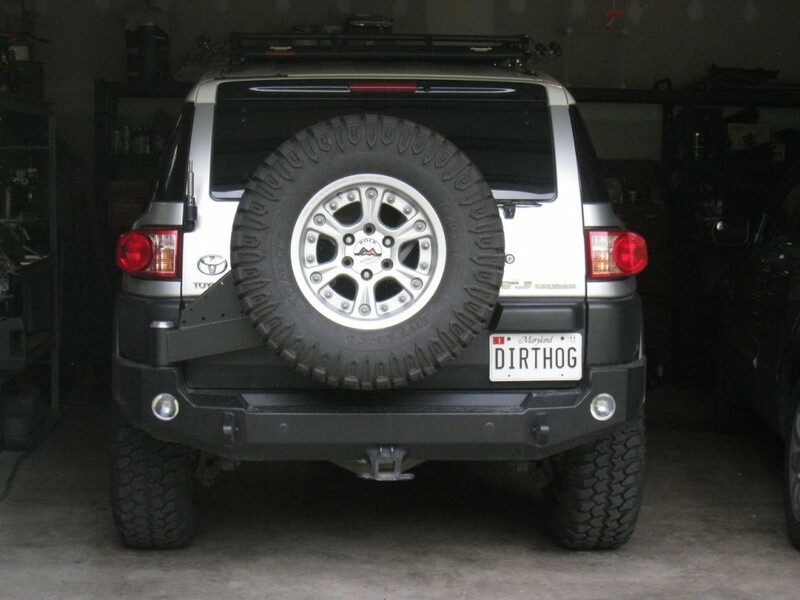 Top this off with support for factory items such as a stock hitch and rear back-up sensors and you’ve got yourself a hands-down winner for a rear bumper replacement. It took less than a week of shipping time before a very large package arrived outside my house. It was with genuine excitement that I began ripping into the packaging so I could remove and examine each piece of hardware. I’d like to point out that for something this large and heavy, Expedition One did a marvelous job of packing the pieces. 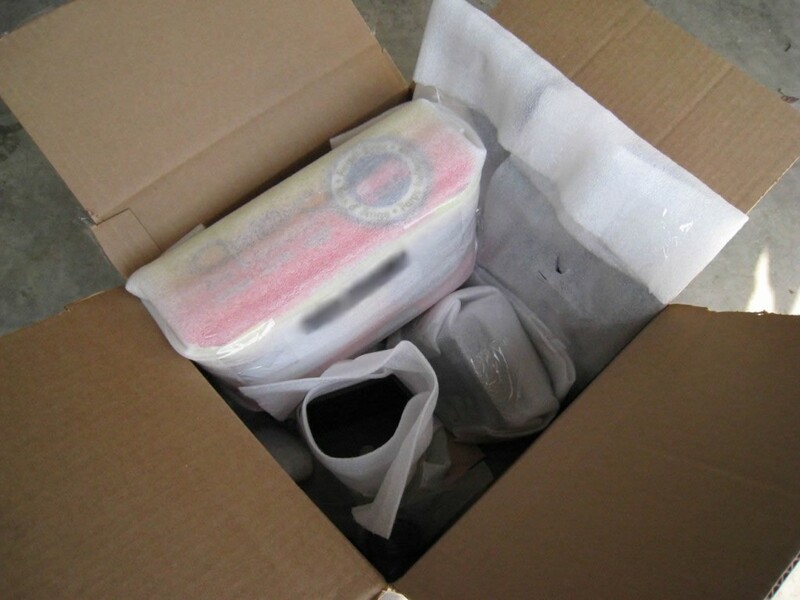 After wrapping items in heavy plastic, the entire package is filled with a dense and expanding foam that provides great protection during shipping. 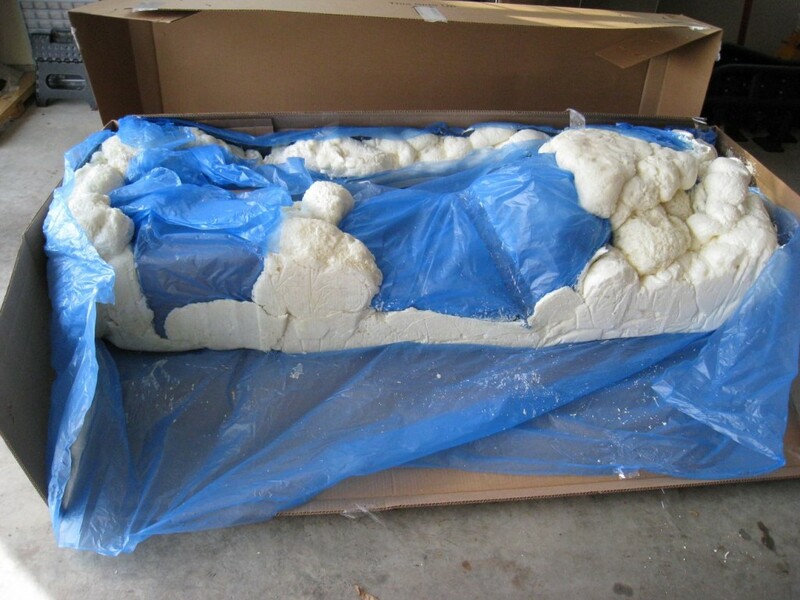 It does, however, make accessing the parts a bit more interesting as you have to essentially cut them away from the molded foam. I managed to get everything unpacked in about 20 minutes and then began planning the installation itself. With everything unpacked, I decided it would be easiest to lay out all the new hardware so I could take stock of all the required parts and make sure I had everything. 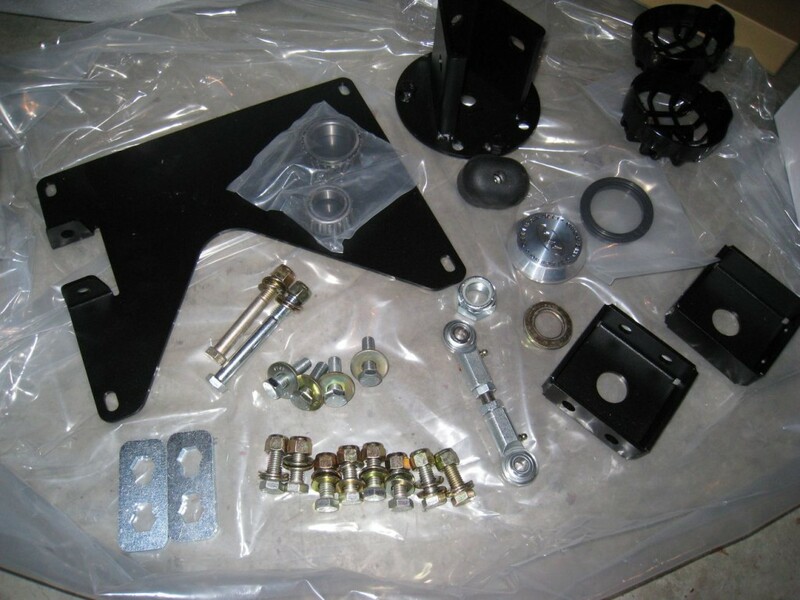 The large pieces were easy enough to find and all the small parts – nuts, bolts, washers, etc. – were packed neatly in several smaller boxes. 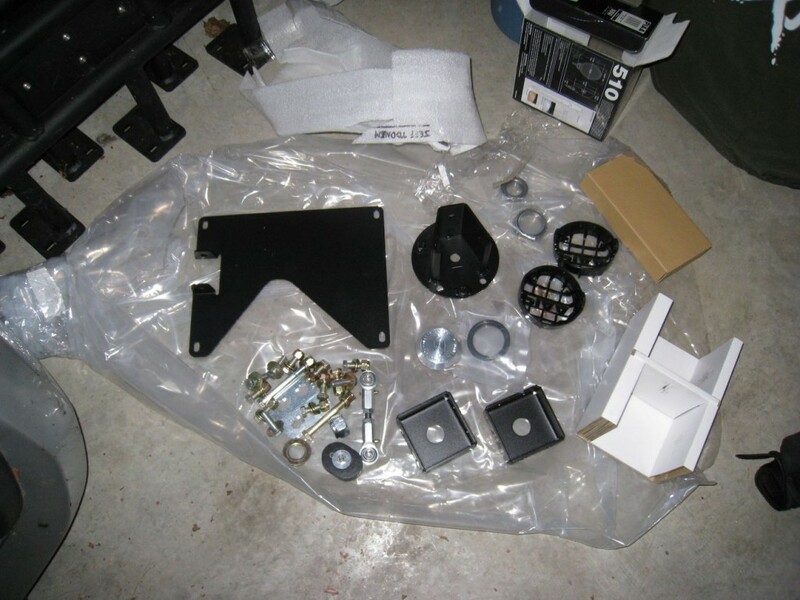 Once I had everything laid out I began perusing the installation instructions provided. Since nothing could be installed until the stock bumper was removed, I started there. Well, actually, for convenience reasons, I actually started by removing the spare tire from the rear door. 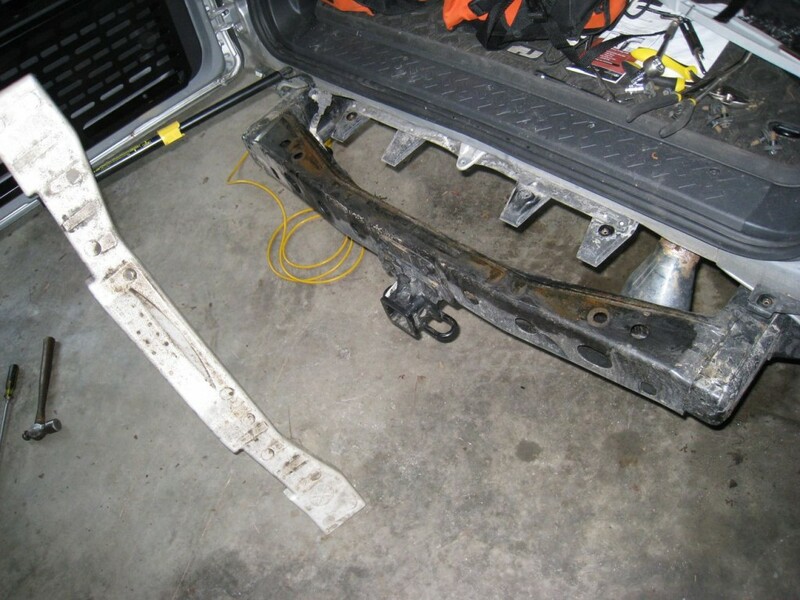 Once that was out of the way, removal of the stock bumper was not all that difficult. 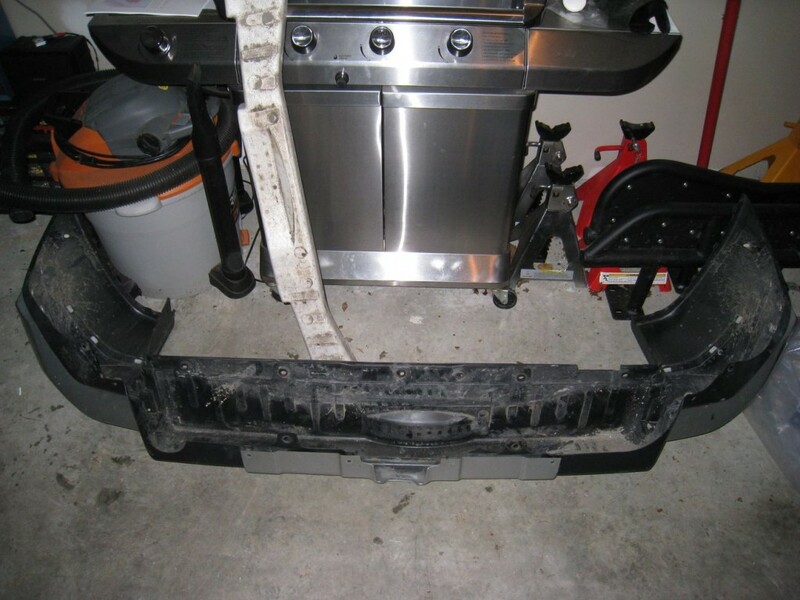 I began by removing several bolts on the top and bottom of the bumper. Then I unplugged the back-up sensor wiring by unsnapping the wire plugs hidden inside each bumper wing. Lastly, I popped out a small plastic plug on the lower passenger side, just inside the rear door. 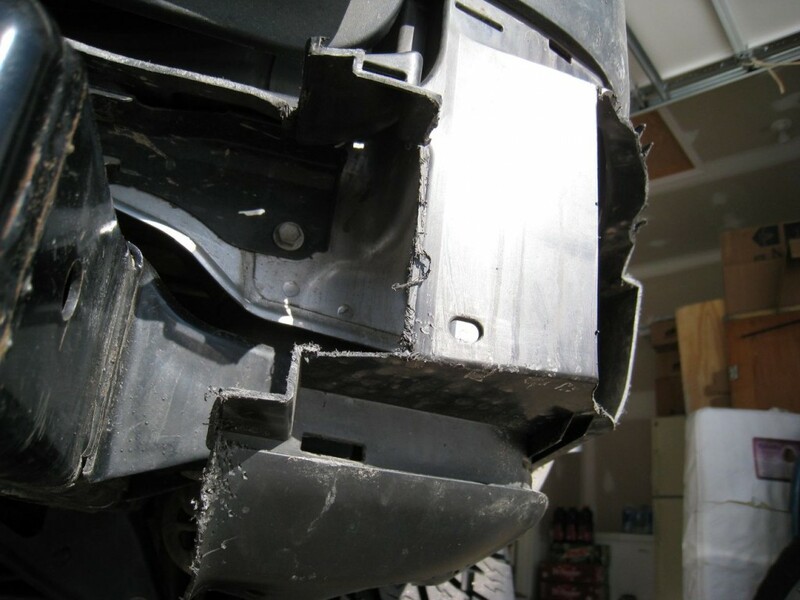 Once the outer plastic portion of the bumper is removed, a solid piece of styrofoam is visible. This can simply be lifted out of the way and discarded. 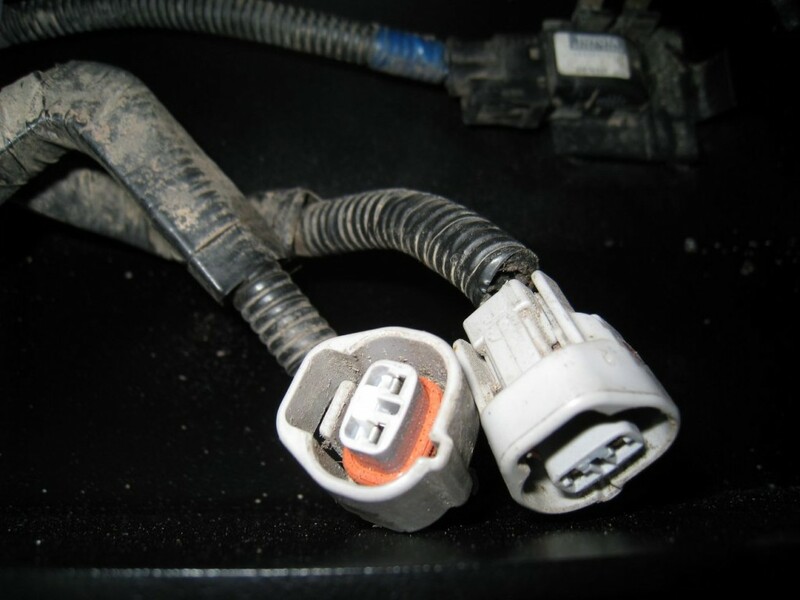 If you have a trailer hitch installed, make sure to unbolt your trailer wiring harness too, prior to removing your old bumper. 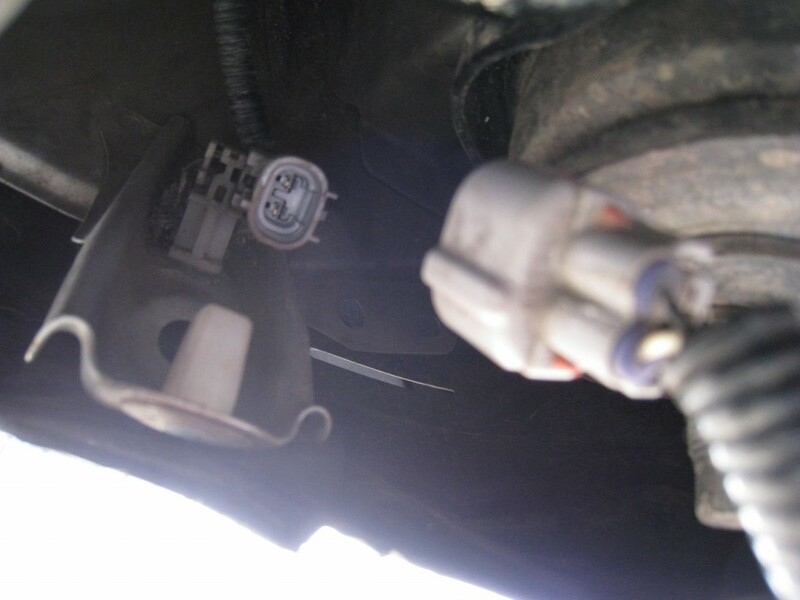 Once the stock bumper is removed, carefully remove the back-up sensors from the stock location by sliding the plastic clips out from behind the sensors themselves. 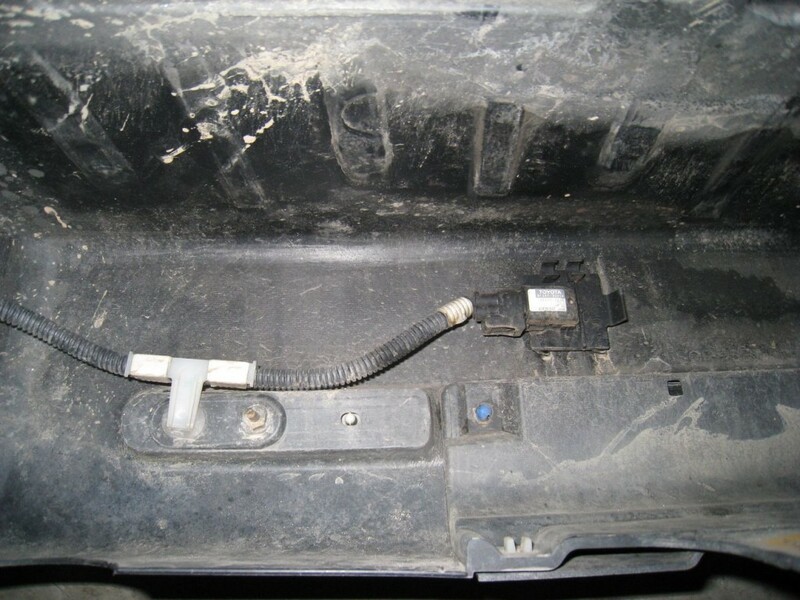 Once you have both sensors free, they can be popped into the new bumper and held into place using the same plastic clips you removed above. 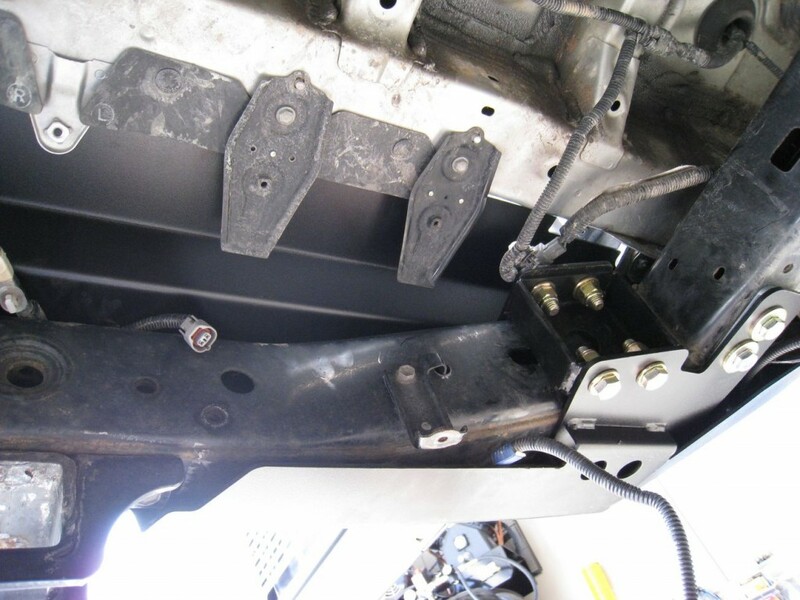 The fit in the new bumper can be quite snug so take care when popping the sensors back into place. 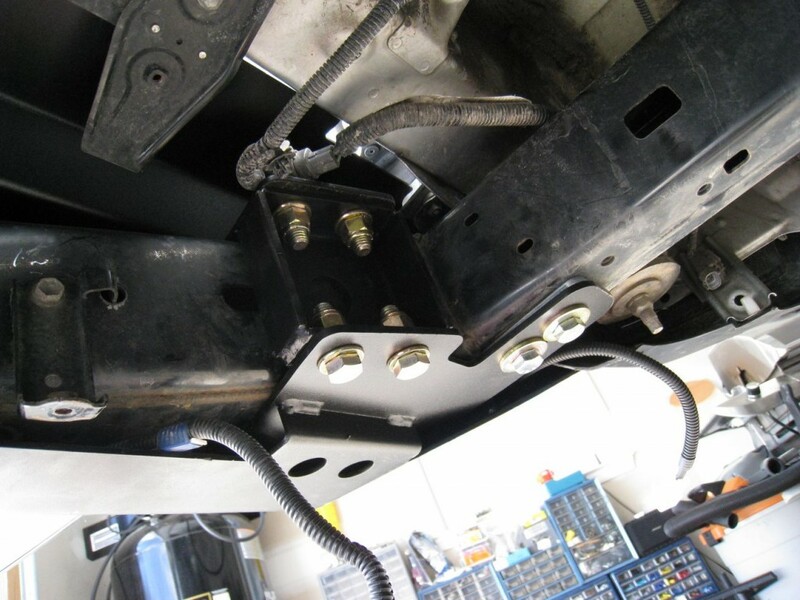 The stock wiring for these sensors isn’t long enough to route behind brackets in the new bumper so just leave the wires drape for the time being. 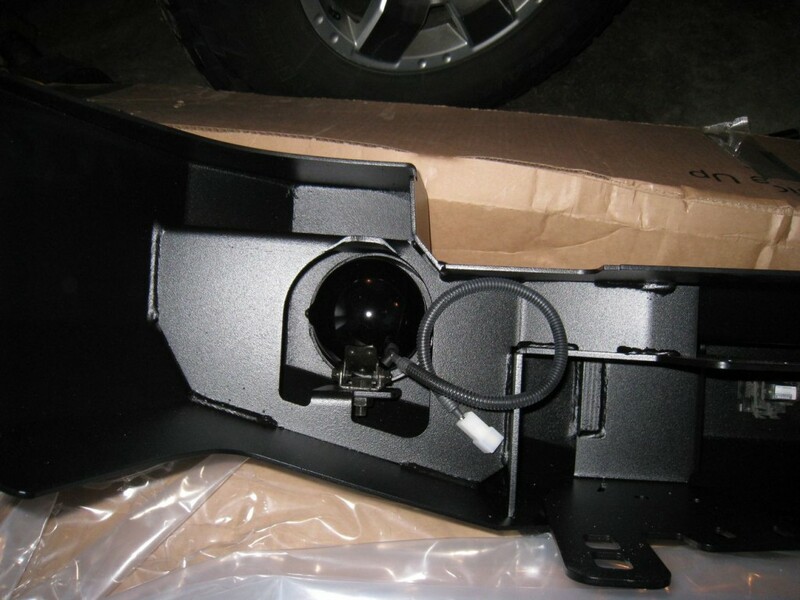 If you ordered lights or plan to install a set of existing driving lights into your new bumper, now would be a good time to bolt these into place and ensure everything fits as expected. 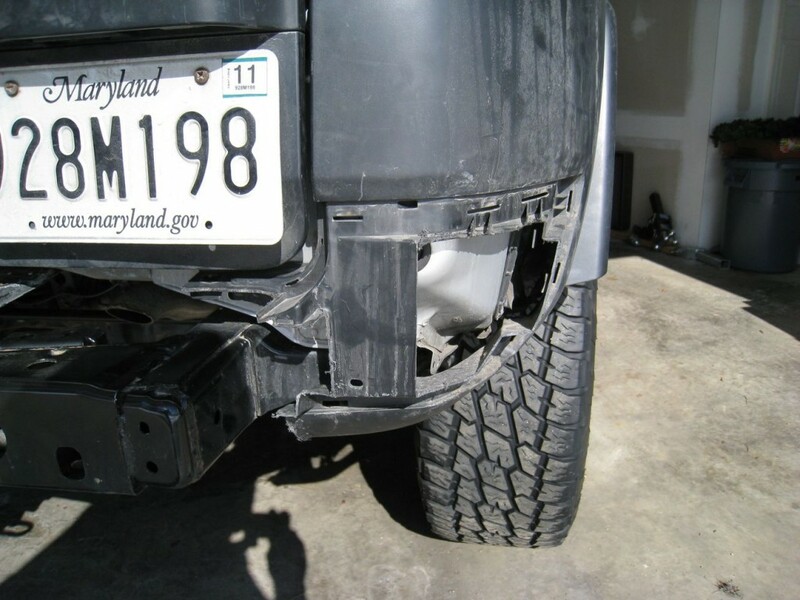 Note: I ordered a set of PIAA lights with a plastic grille guard but the dimension of the holes cut in this particular bumper was not big enough to accommodate the grille portion. So I had to forgo this option and just install the lights by themselves. 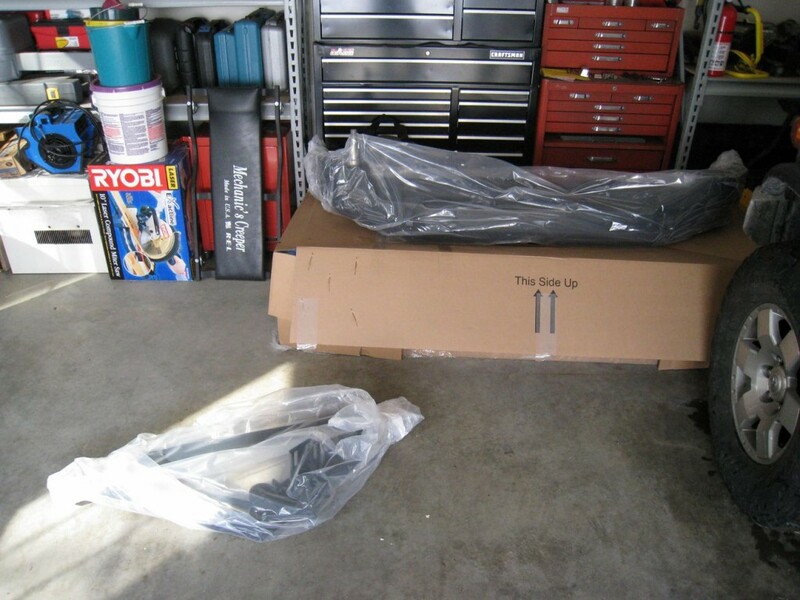 Per the installation instructions, you will be reusing a portion of the original stock bumper. I was now at the stage where I needed to modify some plastic. 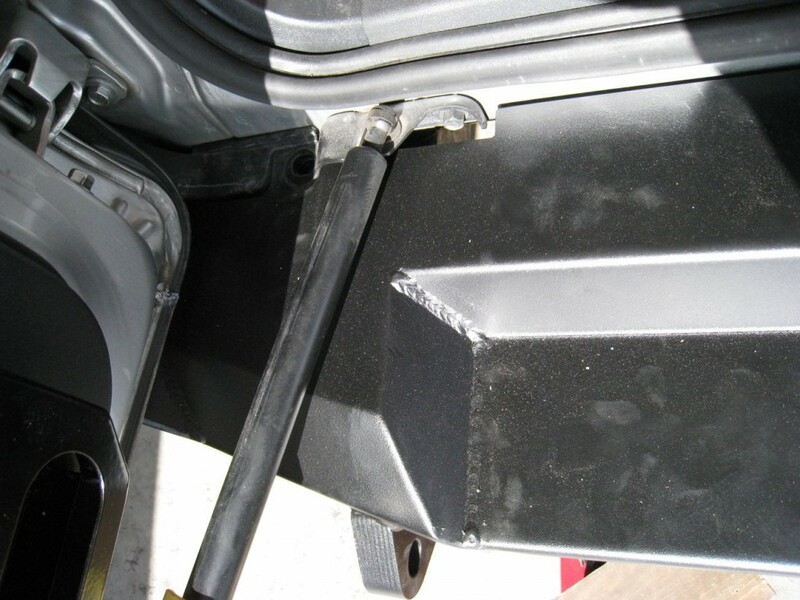 The silver wing pieces of the rear bumper are held in place using small plastic clips on the inside of each bumper end. Removing each of these clips will allow you to separate the silver piece of plastic from the main portion of the bumper. It is the inner black plastic that requires modification. See your installation instructions and the photos below for more detail on exactly where and how much to trim. I used a combination of hack saw and jig saw to cut through the plastic. The plastic doesn’t offer a whole lot of resistance but this particular part of the install will probably go much smoother with a second set of hands. Holding the bumper while operating a jig saw is not the easiest of tasks, especially when you are attempting to follow a precise line. 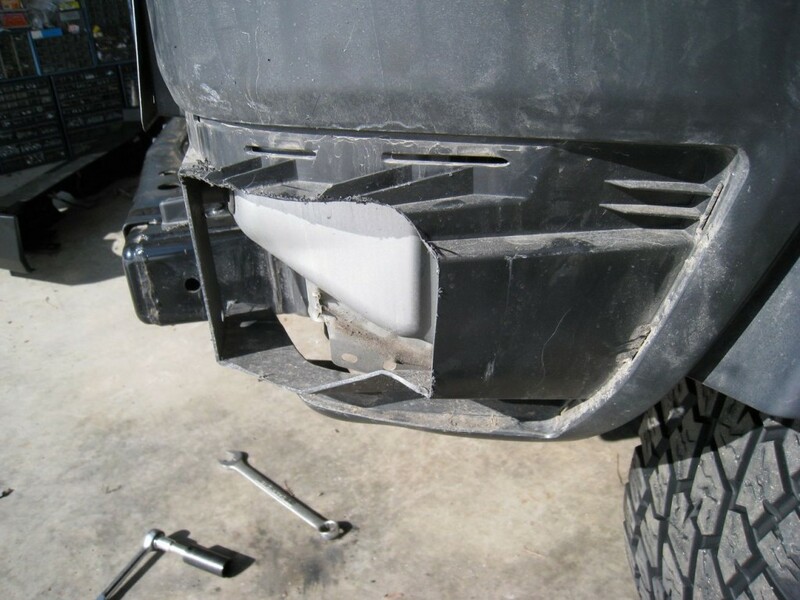 Once the outer portions have been trimmed appropriately, you can restore your now-modified bumper to its original location for a quick test fit. 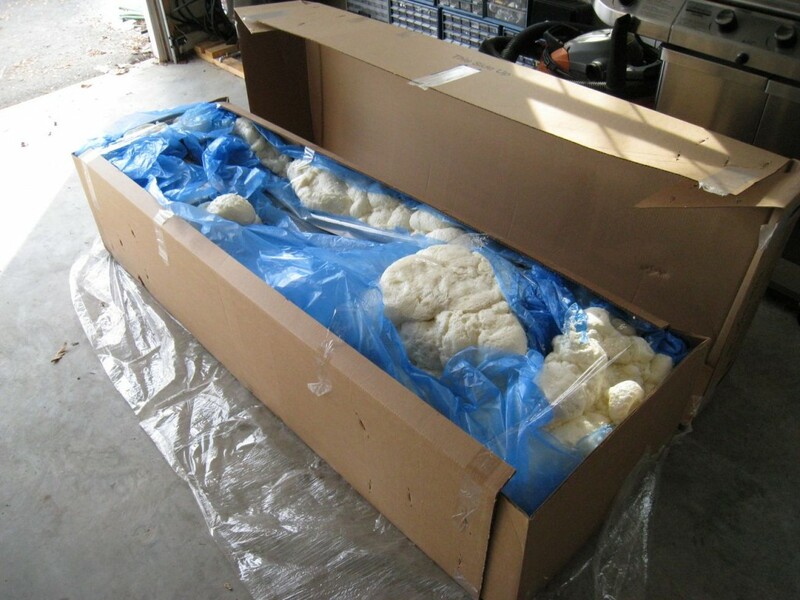 Make sure you remove the piece of styrofoam if you haven’t already. It is not required for the new bumper. 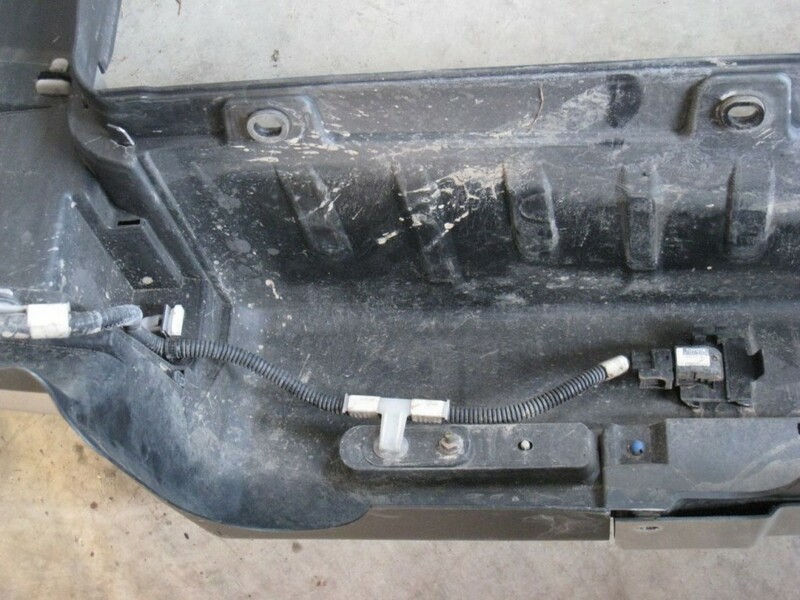 If everything looks good, re-seat the side pieces by popping the plastic snaps back into their holes in the sheet metal, and replace any mounting screws still required to hold the remainder of the original bumper in place. 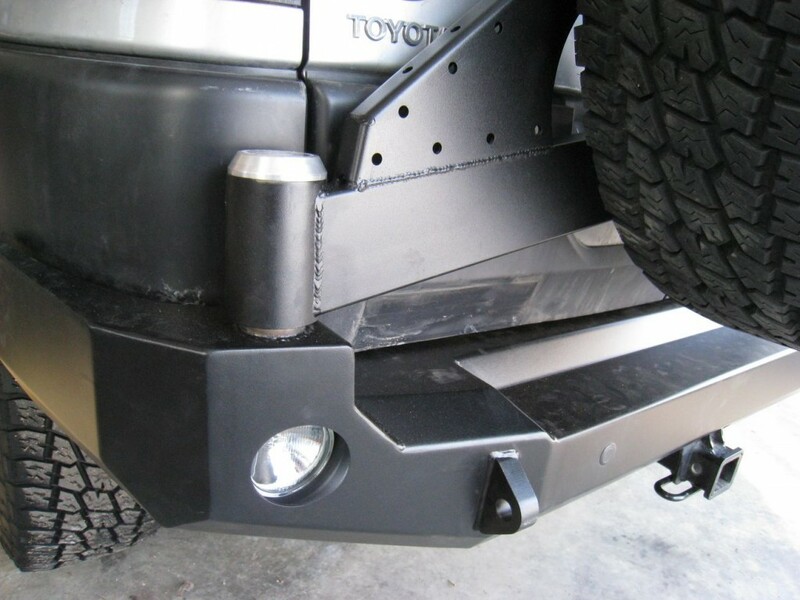 If you ordered the tire carrier version of this bumper, you will need to remove the spare tire carrier bracket and replace it with the custom strike plate that Expedition One provides. 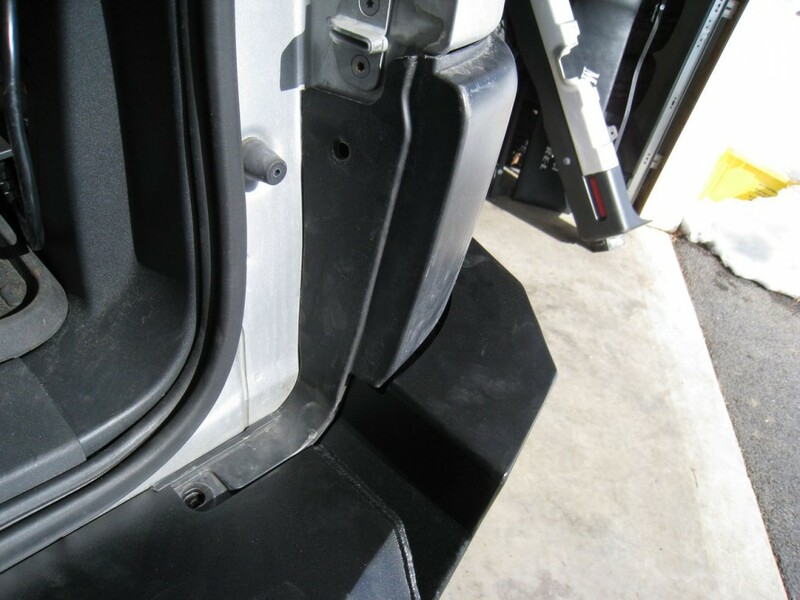 This will provide the door with reinforcement and protection for when the tire carrier is in the closed position. 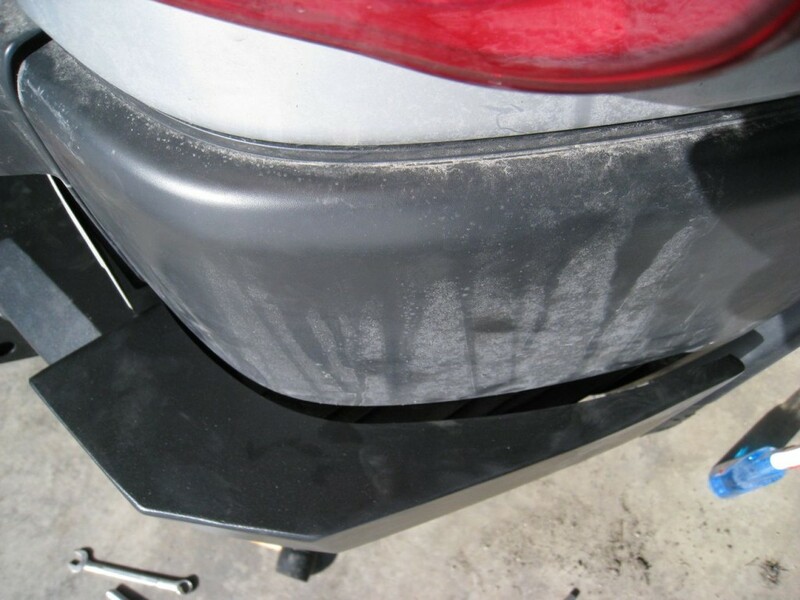 Be sure and clean the area behind the carrier well, prior to installing the new plate, to avoid unnecessary damage to the paint. If the nuts on the carrier bolts are rusted like mine were, try hitting them with some WD-40 or PB Blaster to loosen them up. Now it’s time to test fit the base of the Expedition One bumper to make sure it fits over the top of the modified stock bumper. Although this part can be accomplished single-handedly, this bumper isn’t exactly light so I recommend a second pair of hands as it’s much easier to line things up. Given a proper amount of trimming on the old bumper, the new bumper should fit nice and snug to the sheet metal just below the rear door opening. 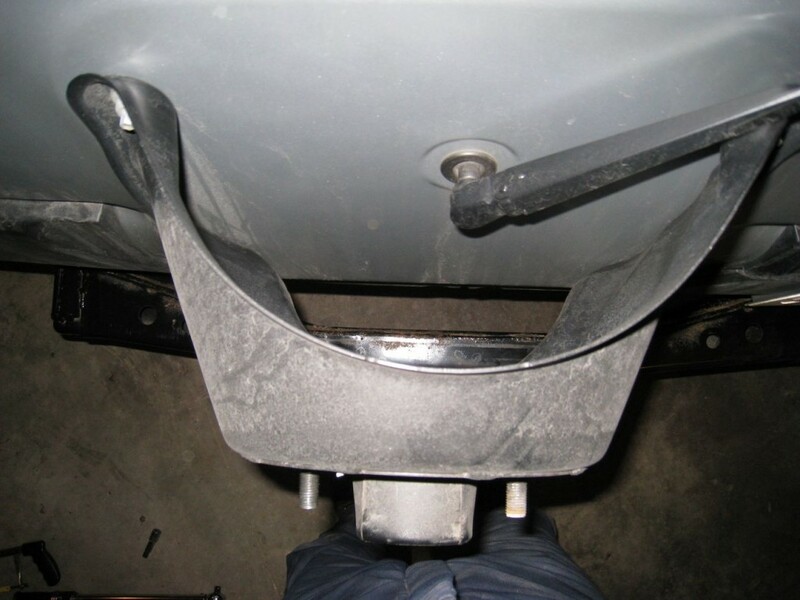 If you have problems with alignment or discover that the bumper will not slide completely into place, it’s possible you will need to trim a bit more off the original bumper ends. 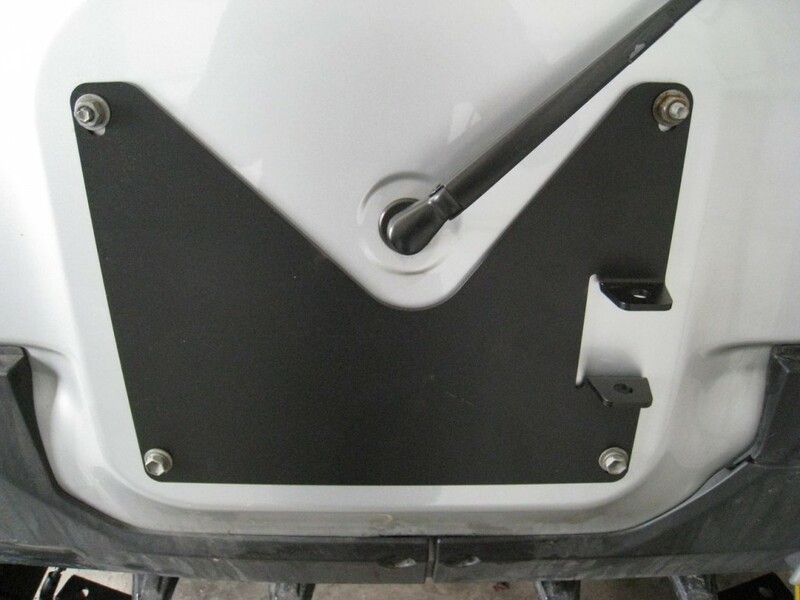 Once everything is properly lined up, the new bumper should slide right over the top of the rear cross-member and fit neatly into place below the door opening. 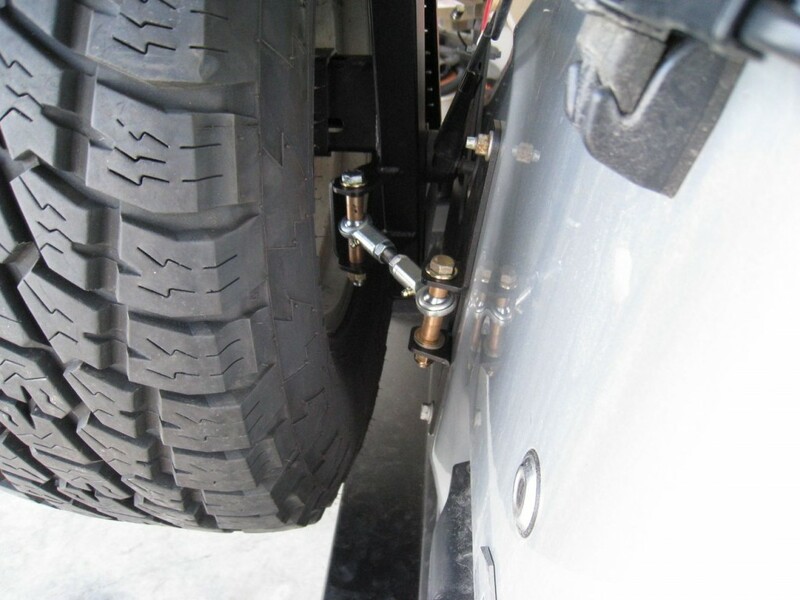 Be sure and check your gapping right to left as well to make sure the bumper is centered, prior to tightening any bolts. 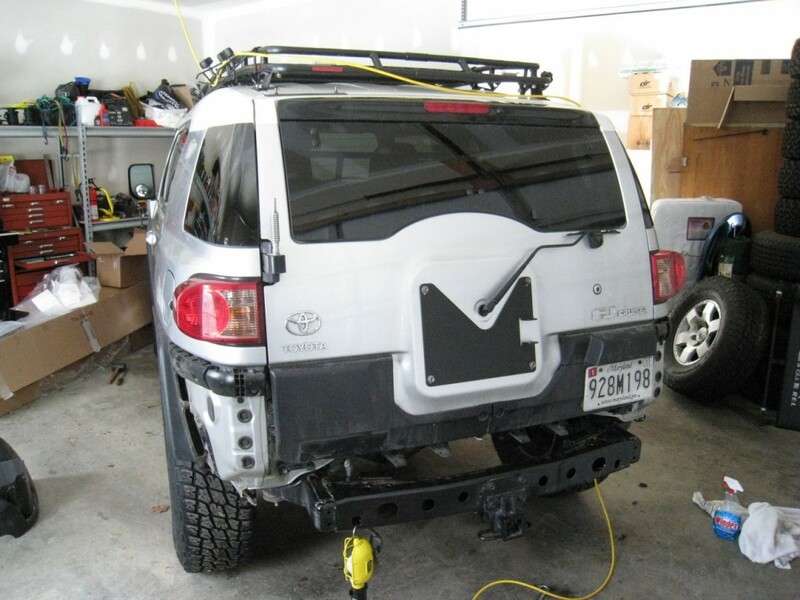 Once you’re satisfied with the test fit, have one person hold the bumper in place over the cross-member while the second person attaches the mounting brackets underneath the vehicle. 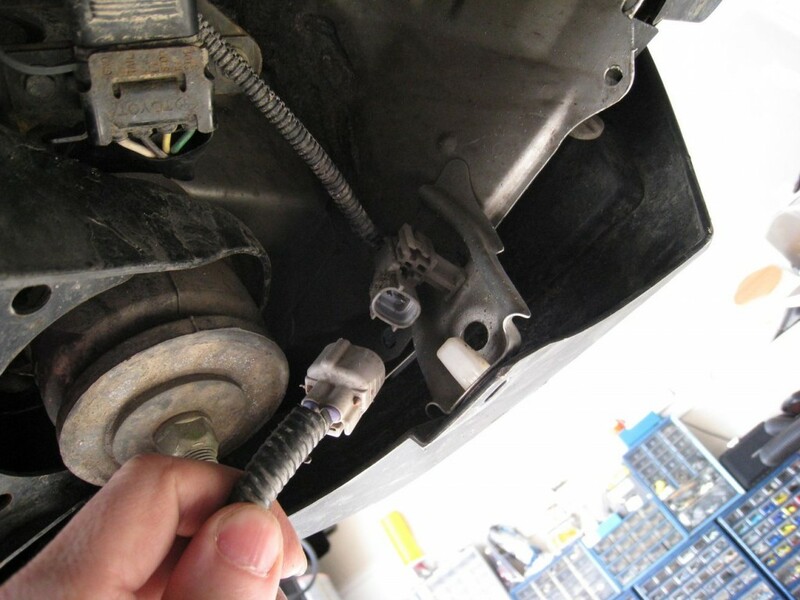 Be sure to avoid crimping or damaging the bumper light wires (if you ordered with lights) or the wires for the backup sensors when fitting the new bumper. 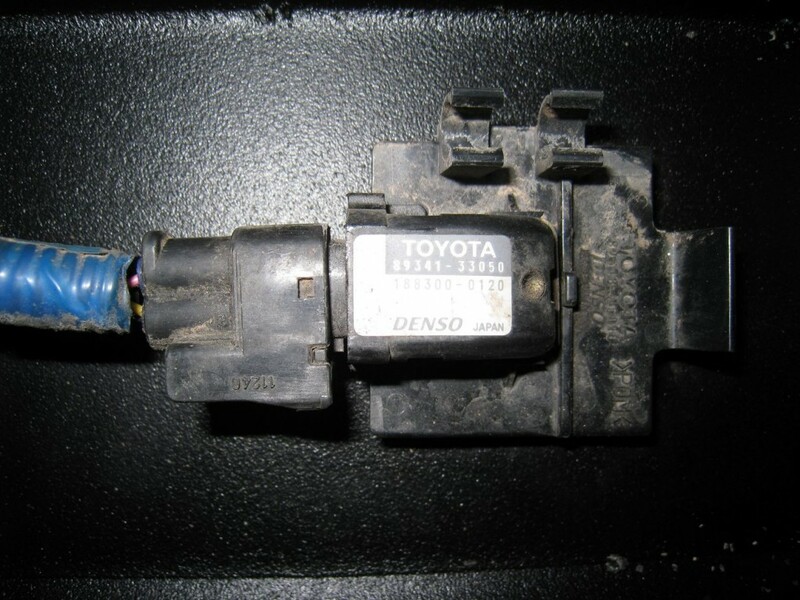 Unless Toyota has changed the specs for later model FJs, the backup sensor wire harnesses will not be long enough to route behind the internal bumper brackets. 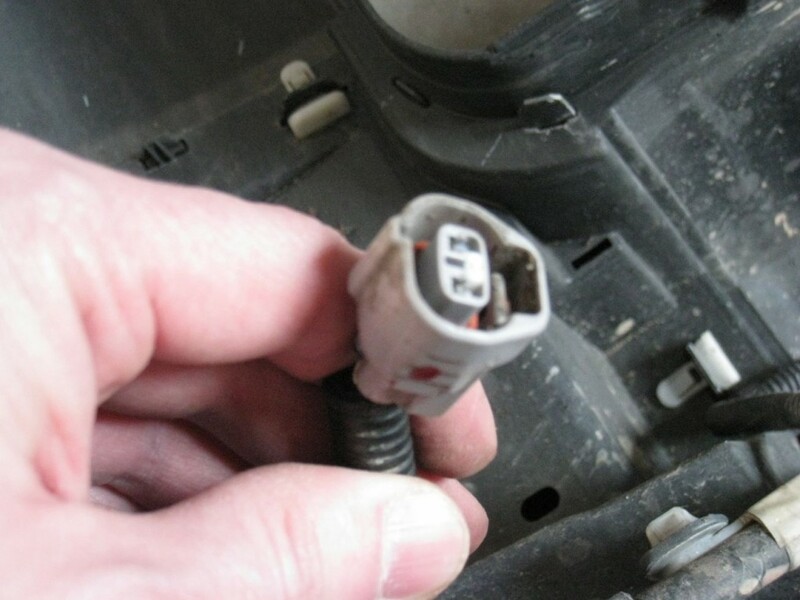 So you will need to run these wires along the bottom inner lip of the bumper in order to reach their respective wiring harness plugs. I used the built-in plastic snap plugs and several zip ties to secure the harnesses. 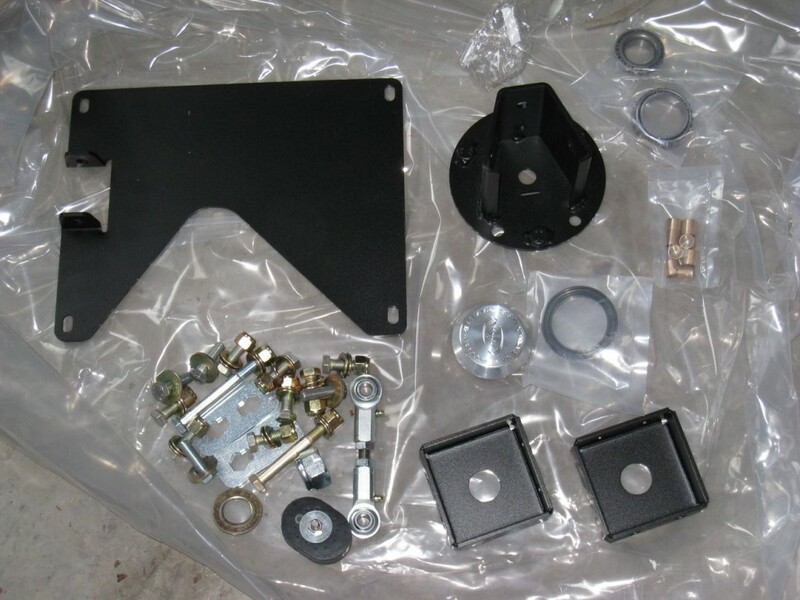 You should have received two 1/4″ spacer plates in your kit. These should be placed between the bottom bumper bracket and the bottom of the frame rail so that they line up with the pre-tapped frame mounting holes. 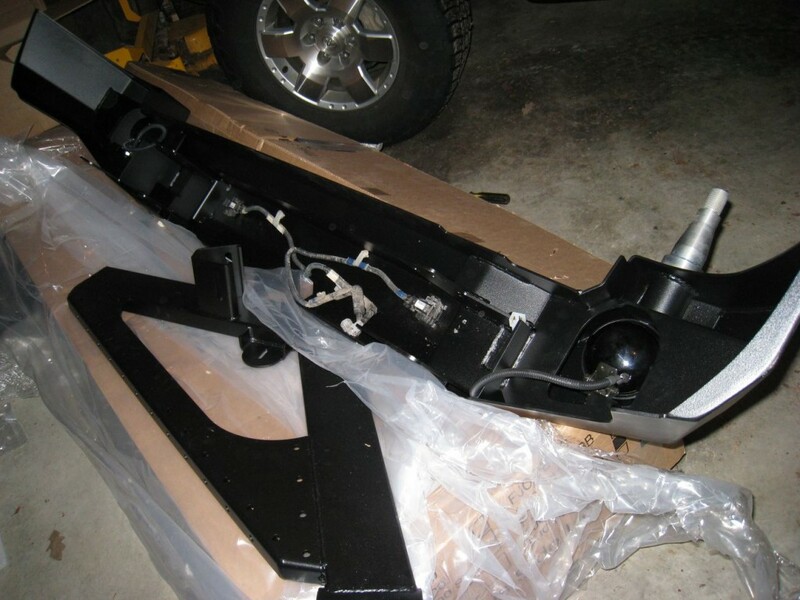 In addition to bolts through the frame, Expedition One provides two boxed brackets that are designed to fit between the upper and lower mounting tabs of the new bumper. 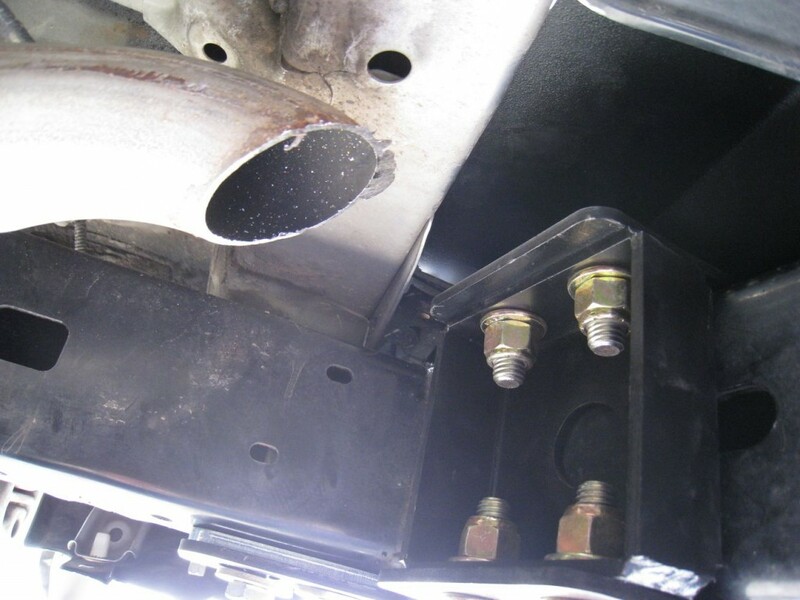 Each box takes four bolts – two on top and two on the bottom. 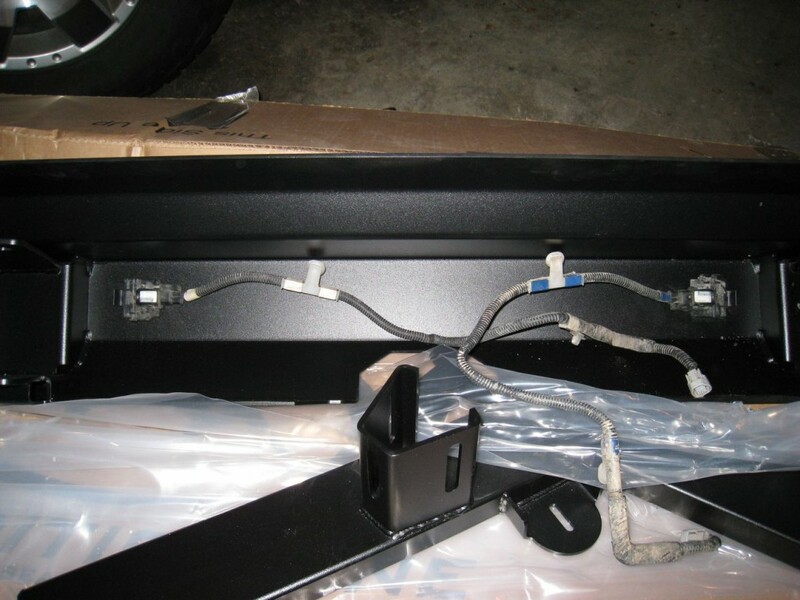 Mount the two box brackets in place per the installation directions but do not tighten the bolts completely. 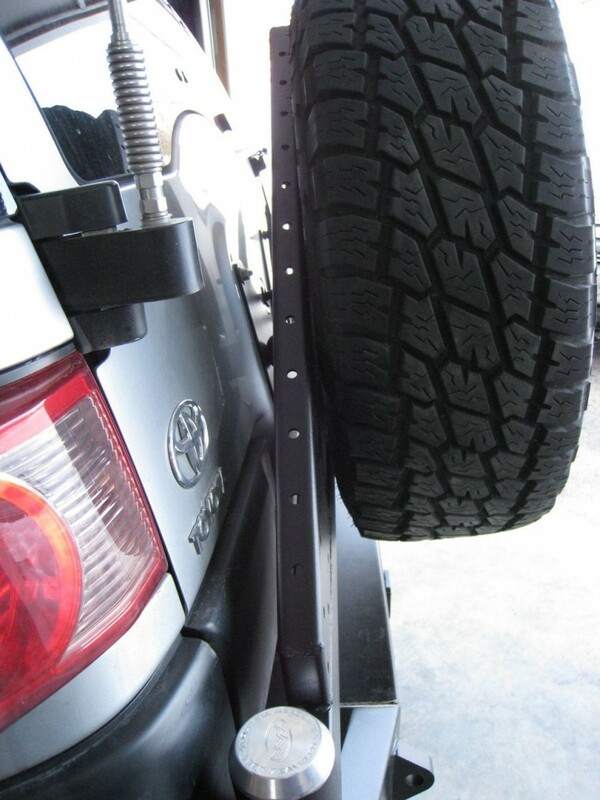 This will give you an opportunity to make last minute adjustments to the bumper’s tilt and alignment. 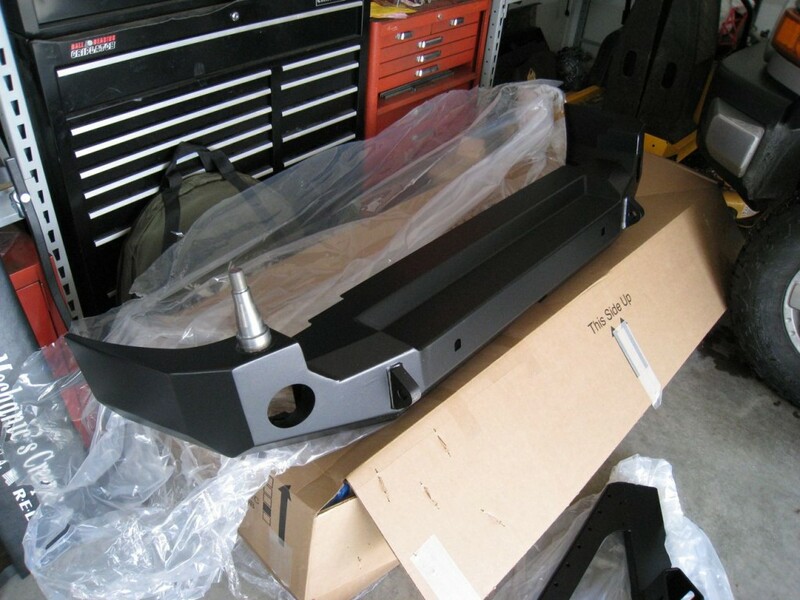 Once you are completely satisfied with the bumper’s placement, torque all nuts and bolts to the appropriate specs until your bumper is solidly mounted in place. As far as I know, the Expedition One rear bumper works fine with the stock exhaust configuration. I had my exhaust modified prior to this install in order to tuck it up and away from the rocks. As it turned out, the TRD exhaust tip sat too close to the rear cross-member so I had to chop it off temporarily to complete the installation. 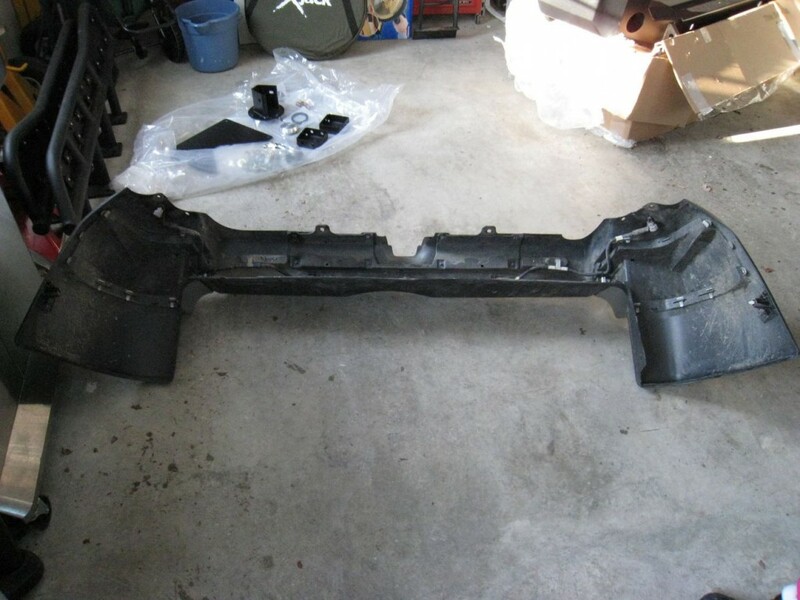 I have since restored the tip after reducing the length of the exhaust pipe itself. 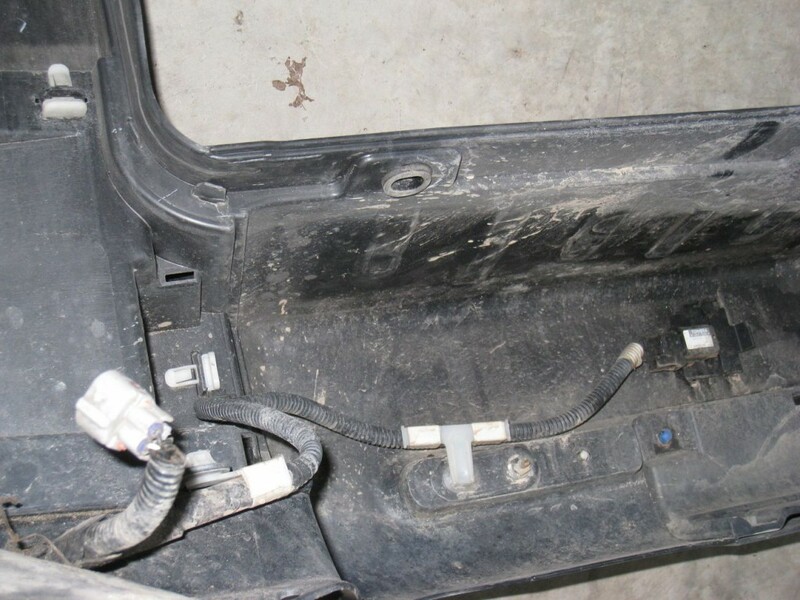 The wire harnesses for the bumper lights have also been temporarily sealed and zip-tied out of harm’s way. I will follow up with a separate article once I get around to wiring all the external light systems. 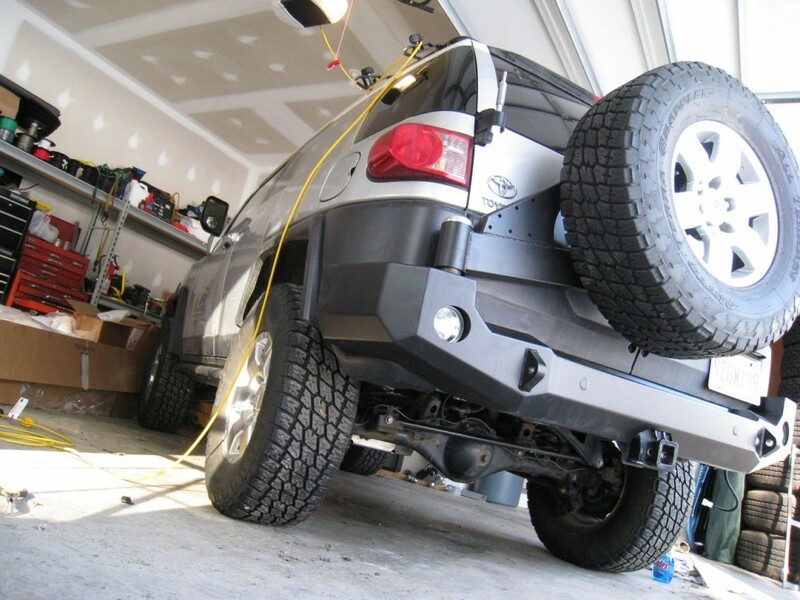 If you only ordered the base bumper from Expedition One, your installation should now be complete. 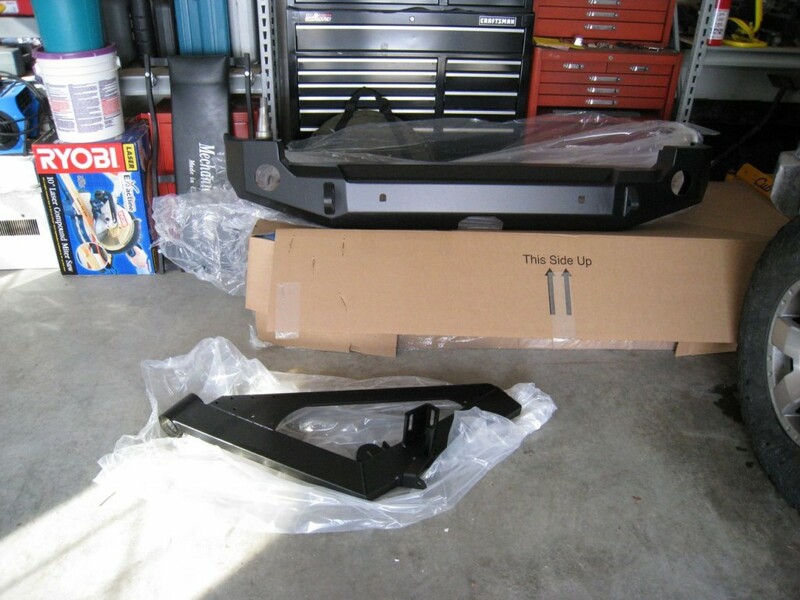 For those folks who ordered the tire carrier version, please continue reading. Now that the main portion of the bumper is in place, it’s time to add the tire carrier swing-out arm. Unfortunately, I don’t have very many photos for this portion of the install and the instructions for this portion of the install were a bit “fuzzy”. But given the pieces remaining, assembly of the rear tire carrier is actually pretty straight forward. 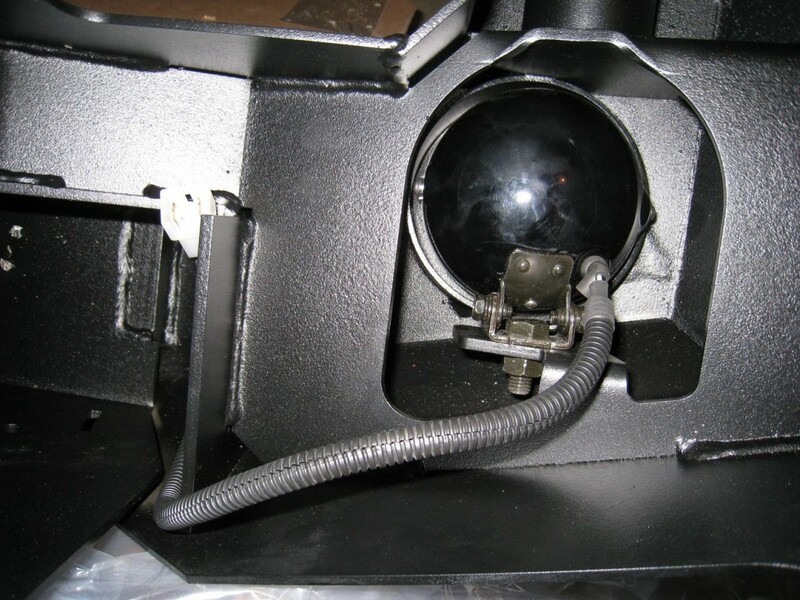 Mounting the arm requires a bearing seal (plastic ring), a set of bearings (one large and one small), a large washer and nut, and an aluminum cap that screws into place after installation. Start by coating the spindle (unfinished portion sticking out of the top left-hand side of the bumper) with a good amount of grease. 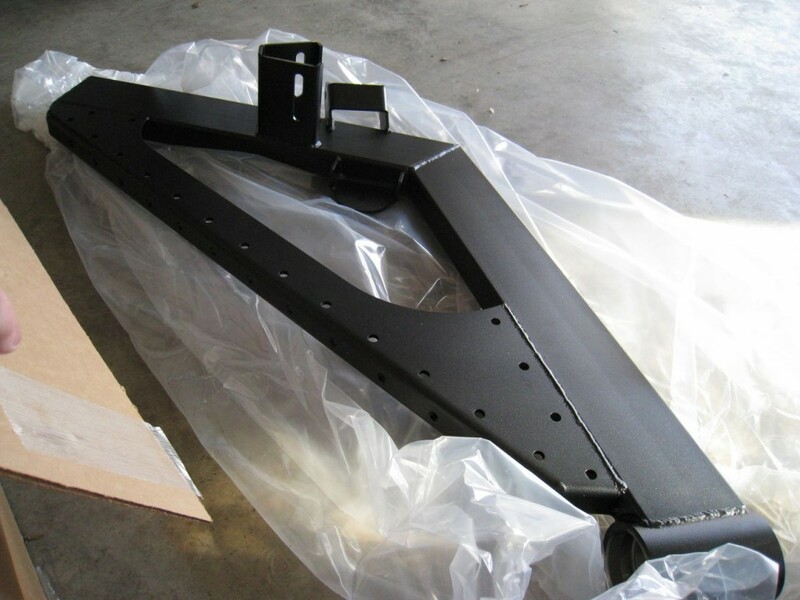 After coating and packing the larger bearing with grease, flip the swing arm upside down and place the bearing inside the lower round portion of the swing arm. 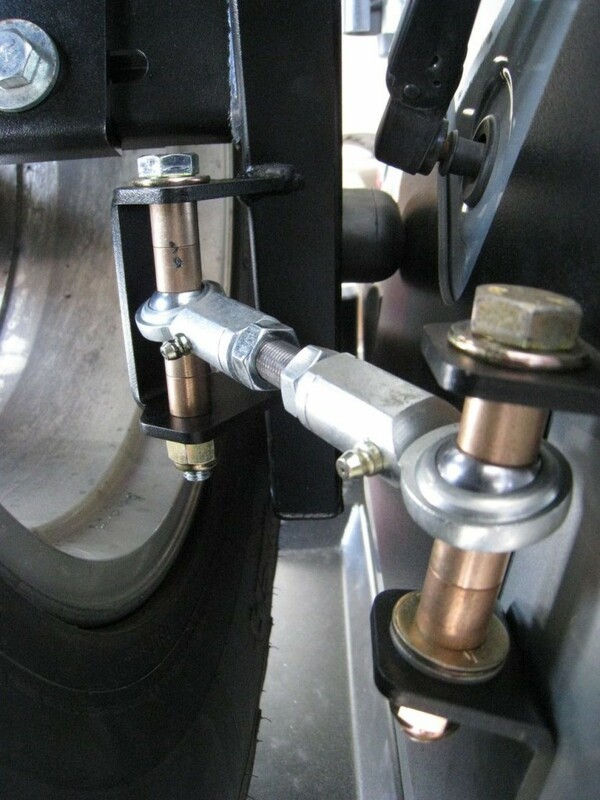 Be sure and place the bearing so that the internal and external tapers match that of the swing arm and the spindle. Once that’s done, seat the plastic seal up into this same area until it’s flush with the bottom lip of the opening. Make sure the wide portion of the seal is facing inwards (towards the bearing). This seal will not only hold the grease in place but should keep the larger bearing from slipping out when you flip the arm for installation on the spindle. Just in case though, I recommend holding the seal in place as you tip the swing arm upright and gently set it over the spindle. Like the larger bearing, the smaller bearing will also need to be packed with grease. Once this is done, place the smaller bearing over the top of the spindle. 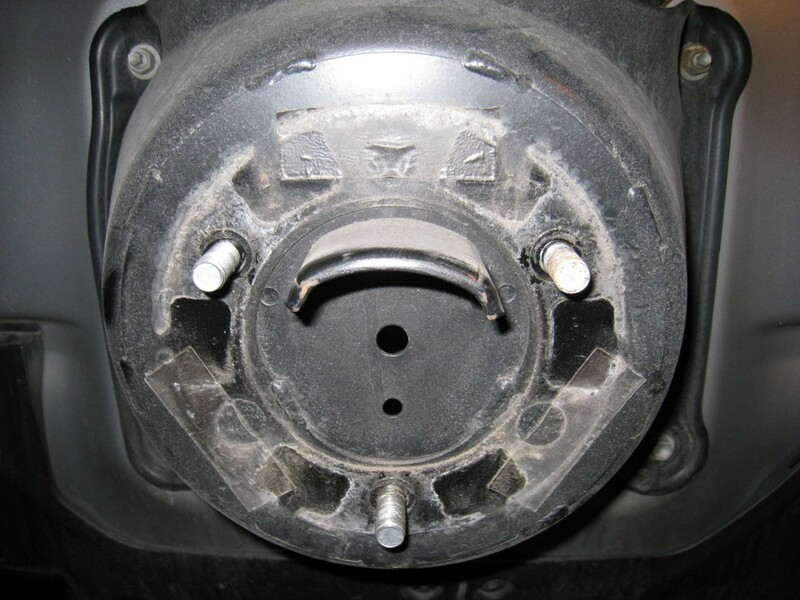 Be sure and note the taper of the bearing and make sure it matches that of the spindle. Place the large washer over the spindle and on top of the small bearing. Complete internal assembly by placing the nut onto the top of the spindle and finger-tighten it to ensure the threads line up. As I recall, the nut requires a sizable 1 1/4″ socket so you may need to pick one up or borrow one from a friend if you don’t have one in your tool set. While holding the swing arm at a position that’s roughly horizontal, tighten the nut into place. You may hear a pop while tightening and then things get loose all of a sudden. This is just the bearings seating themselves into place. As you continue to torque things down, test the swing arm by moving it back and forth. The tighter you make the nut, the more resistance there will be during the swing action. If you find yourself having to work too hard to move the arm, consider loosening the nut a little. I suggest leaving the aluminum cap off for the time being, until you get the spare tire mounted on the swing arm. Since I couldn’t fit four bushings on the door side bolt, I used a couple extra washers to ensure a snug fit. 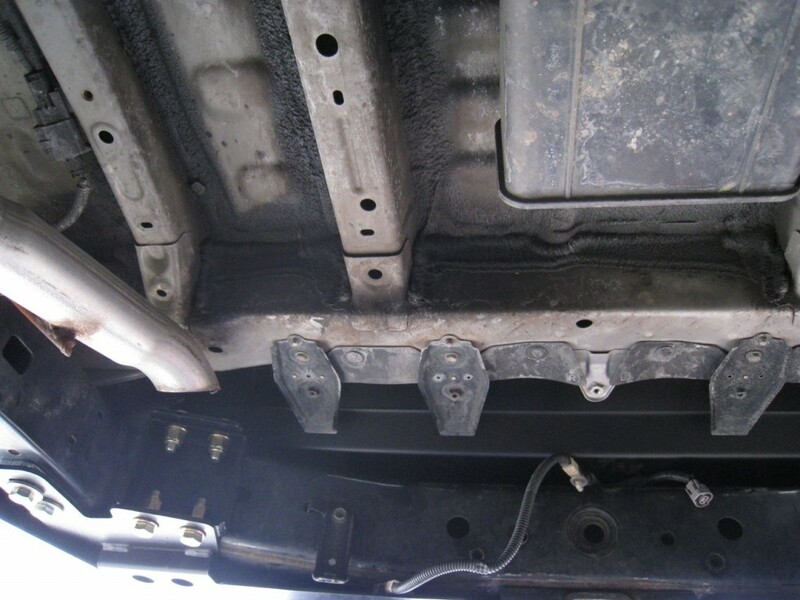 The inner nuts on the heim assembly itself can be used to adjust the overall length of the assembly. 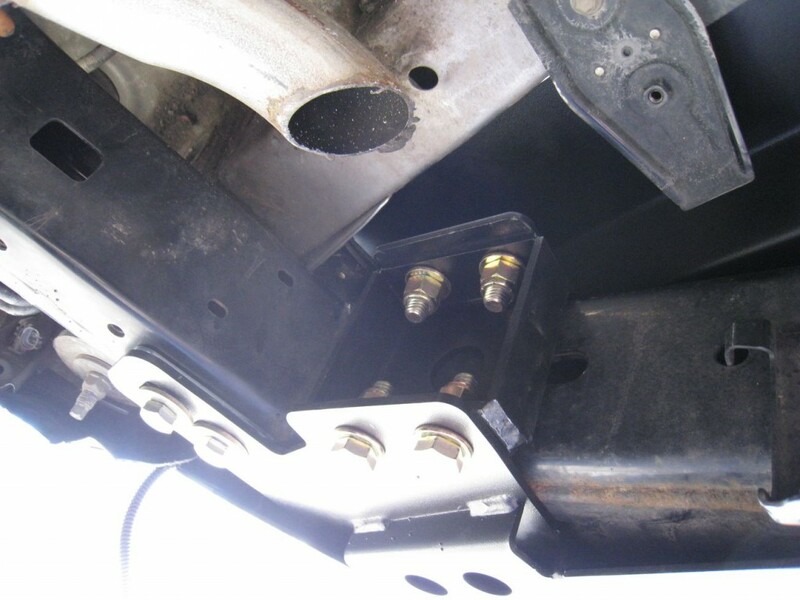 Loosen these nuts and expand or contract the assembly as required while you test by opening and closing the rear door. 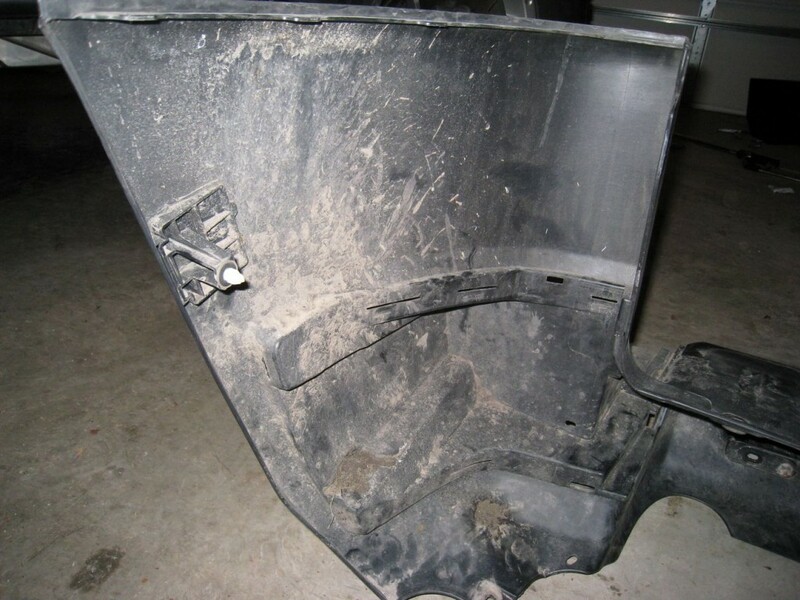 You want the final result to be a swing arm that sits snugly against the rear door, but not so snug that it might bend or warp the door’s sheet metal. 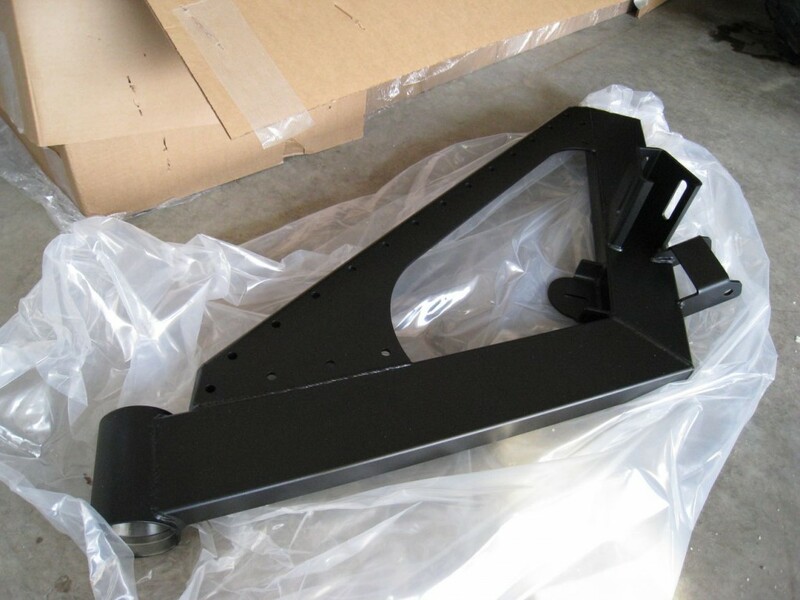 The last piece of the swing arm installation is a triangular shaped sleeve that slides neatly over a smaller triangular bracket on the front of the swing arm. The two pieces bolt together using three short bolts, nuts and washers. You’ll notice that the bolt holes on the arm are oblong. 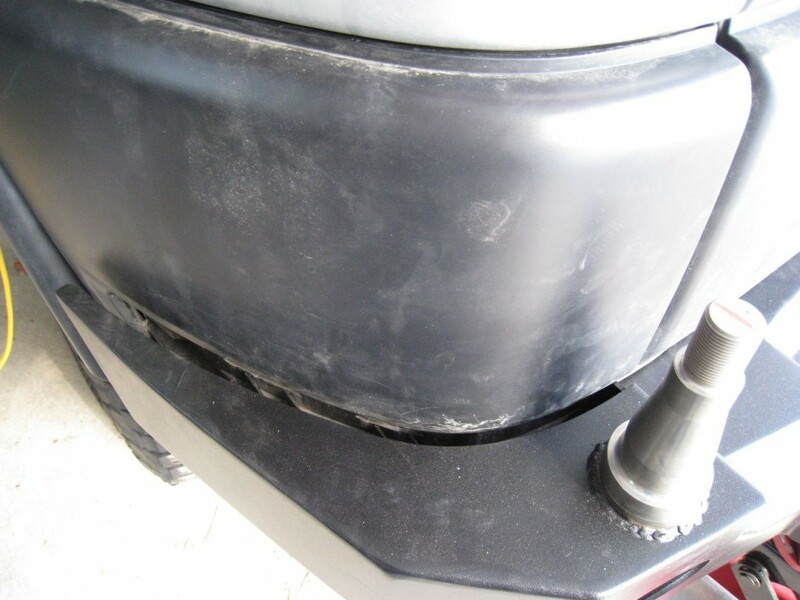 The sleeve is designed to be adjustable in order to accommodate different size tires and wheels on the swing arm. I recommend bolting the sleeve into place but do not tighten the nuts completely. 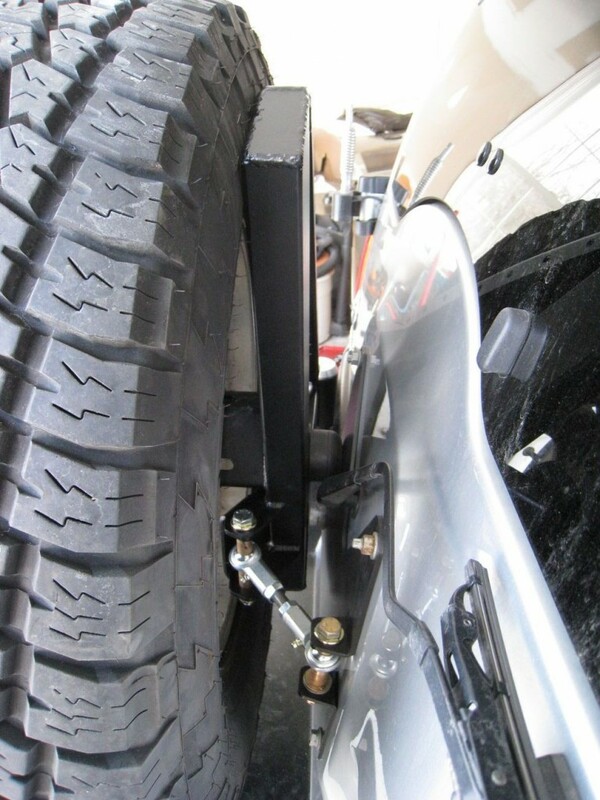 Mount the spare tire by placing your wheel over the lugs on the sleeve and adjust the sleeve in or out until the rubber of your tire sits snugly against the swing arm. Using chalk or another marking device, draw a line along the backside of the sleeve where it rests and then remove the tire. Line the sleeve up with the mark you made and tighten all the nuts. Then remount your tire and tighten into place using three lug nuts. Your installation is nearly complete at this stage. All that’s left to do is test the swing arm in action by carefully opening and closing the rear door. 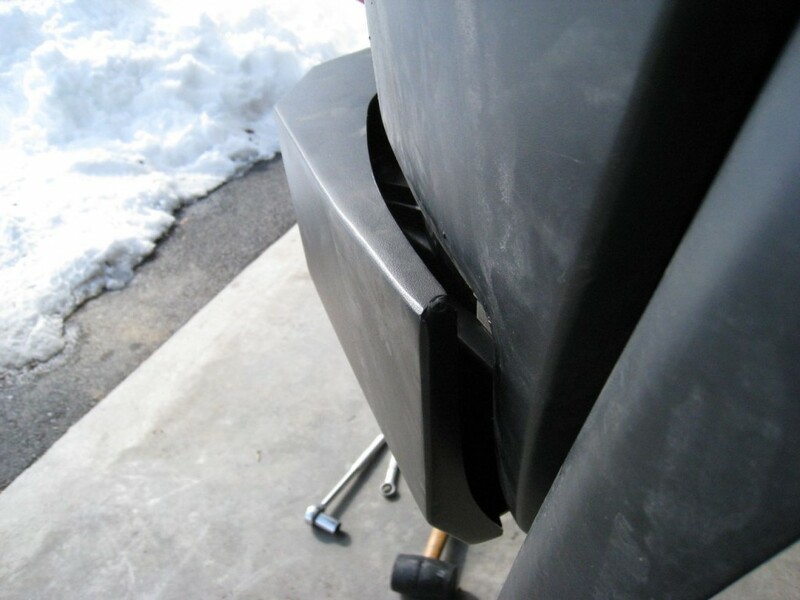 Again, make sure the rubber bumper sits snugly against the strike plate but not too tight. If you find there’s too much resistance when swinging the door open, try loosening up the nut on the spindle. If there’s still too much resistance, I suggest getting a smaller wheel and tire combo for your spare, or parking your vehicle facing uphill. ;o) Once you’re satisfied with the position and resistance of the arm, place the aluminum cap over the spindle nut and hand tighten until it’s snug. In case you’re wondering, the smaller holes that run along the top and front of the swing arm are designed to mount accessories. 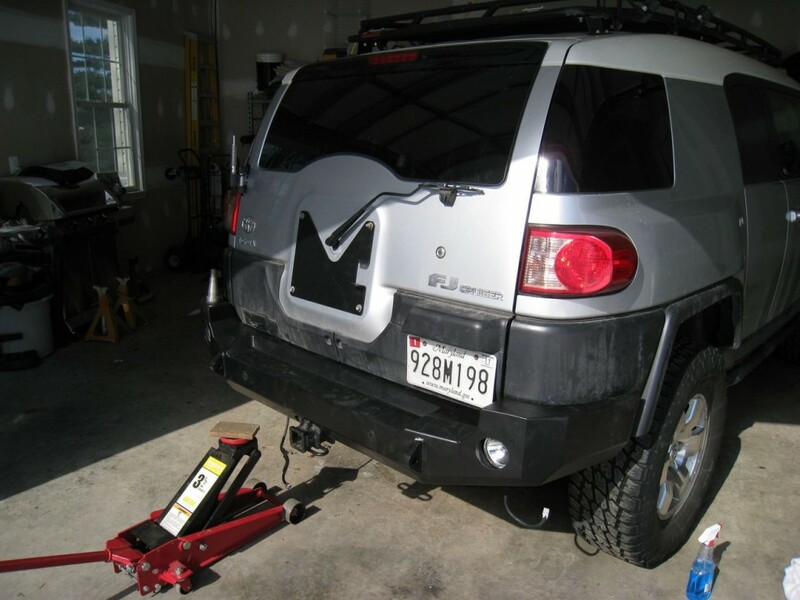 However at the time of this writing, Expedition One has not yet released any additional bolt-on pieces for their FJ Cruiser tire carrier system. 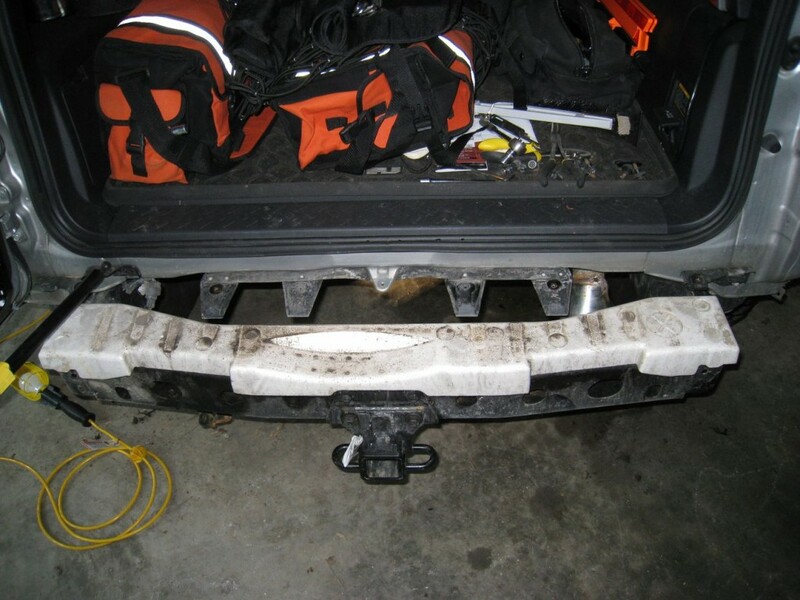 It’s been nearly a year since I installed the Expedition One Trail Series rear bumper with the Smooth Motion Carrier system. I’ve hit many trails, rocks, stumps and more and the bumper has proven itself more than worthy of its name. 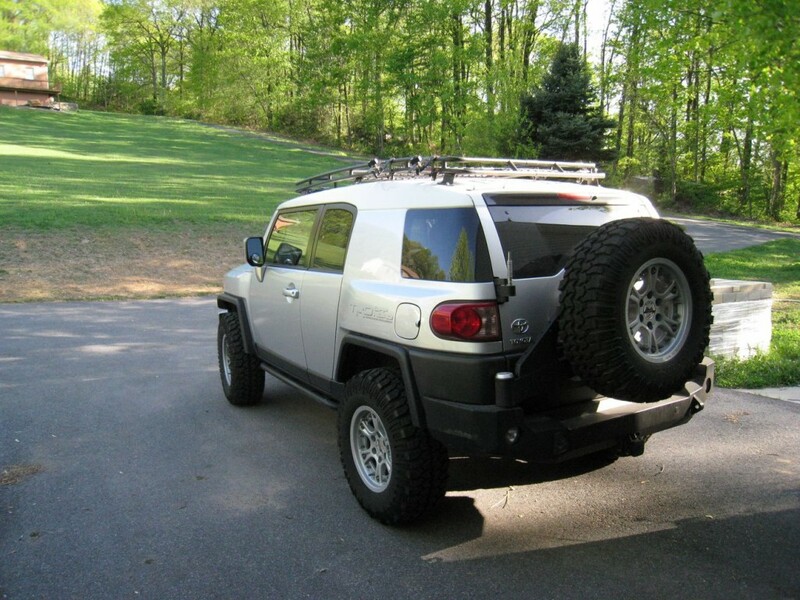 The design of the rear swing out system is ingenious in my opinion, providing quick and easy access to all my cargo with no more effort than the stock FJ Cruiser. All other systems I’ve seen require unlocking one or more swing arms and moving them completely out of the way, prior to opening the rear door. 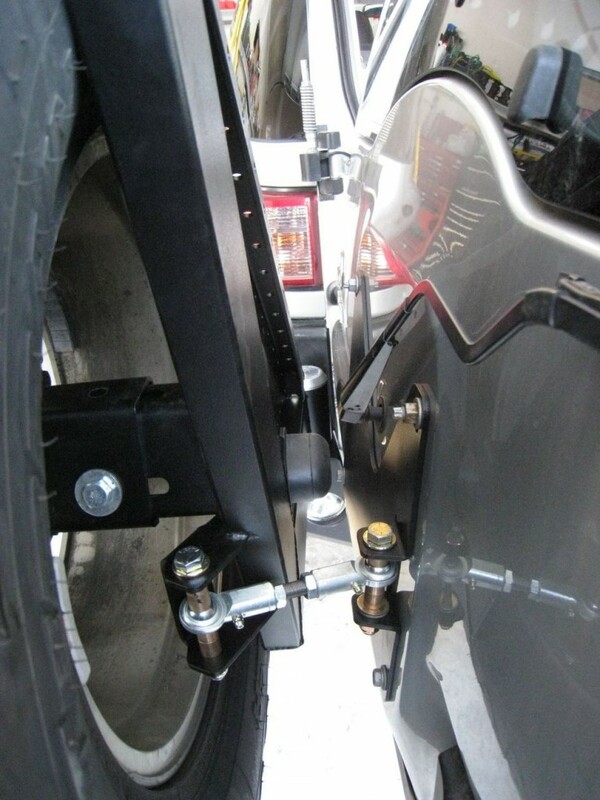 Adding to the inconvenience, many of these alternate systems also require locking the swing arm into place to prevent it from swinging back inwards. 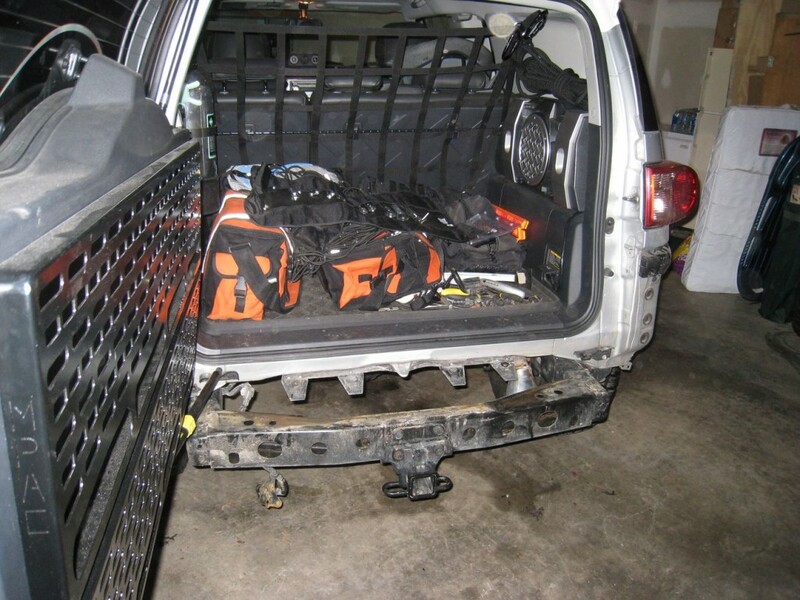 Using the Expedition One system, gaining access to the rear cargo area is every bit as convenient as it was when your first purchased the FJ. But now you have the added advantage of less weight on the door. 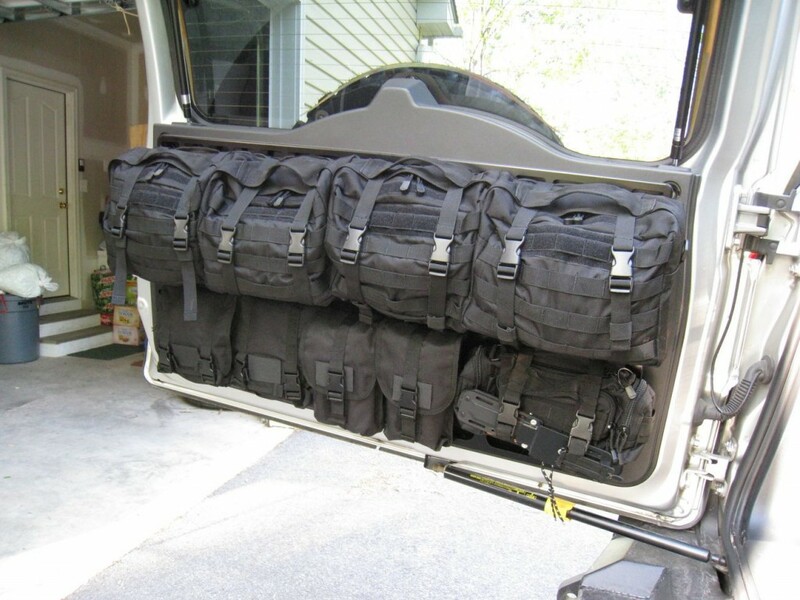 This makes it easier to open the door and allows owners like myself to utilize the door for additional accessories such as a Gobi ladder or mounting a second MPAC rack from Springtail Solutions. 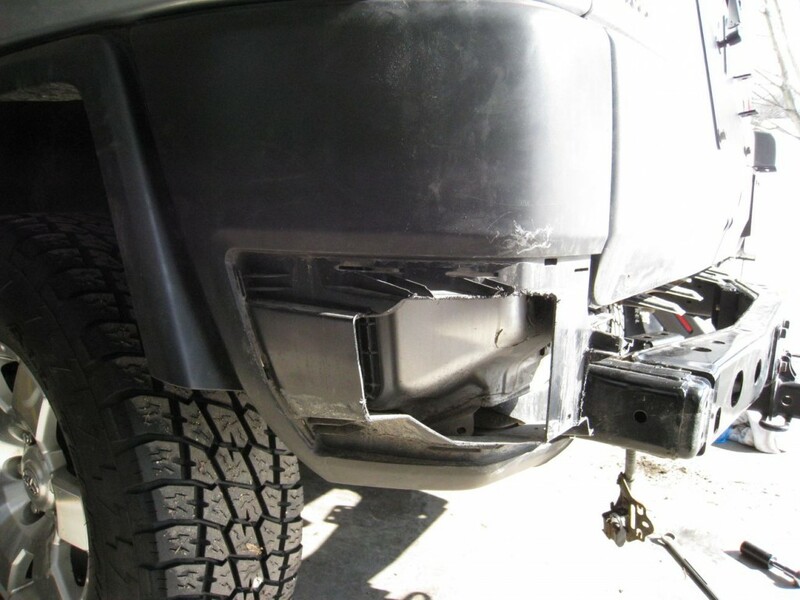 And don’t forget, the Expedition One bumper is one of the few bumpers on the market that incorporates Toyota’s stock hitch and the rear backup sensors. 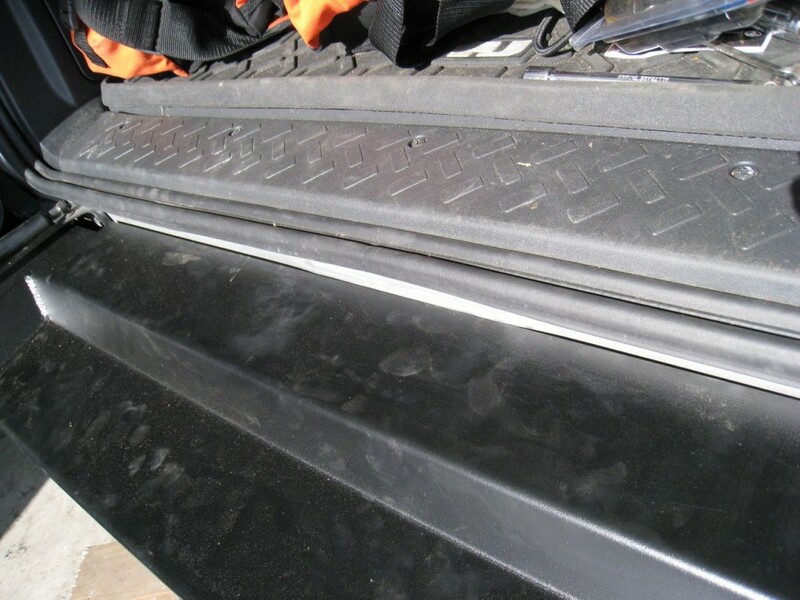 Many other manufacturers replace or even eliminate these items during installation. When greasing the carrier assembly, make sure you get plenty of grease on and above the top carrier bearing. I disassembled the arm after about eight months and noticed quite a build-up of rust on the top bearing. Apparently, the aluminum cap doesn’t seal as well as I thought and I didn’t have enough grease in the top portion to prevent water from entering. The other option is to seal the cap with some sort of sealant but that would probably make it more difficult to remove the cap if you ever need to disassemble in the future. The aluminum cap for the swing arm is round, tapered, and does not have any flat points which makes removing it a bear after it’s been sitting for awhile. The brushed aluminum with the Expedition One logo is a nice touch to the final assembly, but adding flat spots or a slot of some sort would ease the removal process quite a bit. The installation instructions for this product were a bit vague. 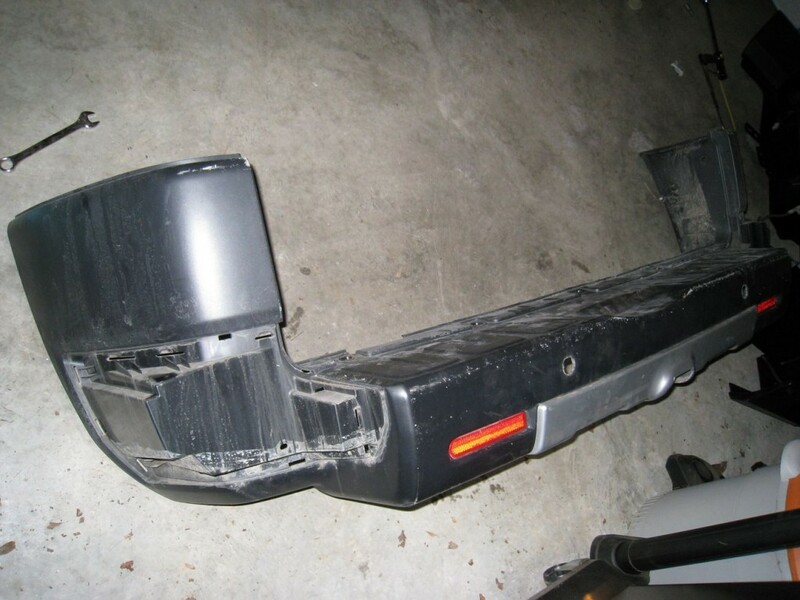 For the most part, they did the job, but I found them to be lacking in detail when it came to trimming the stock bumper and there were no instructions whatsoever for the swing out assembly. Little things like this can make a big difference when it comes to installing a new product. The one and only real flaw was that the D-rings (in my case) were mounted too close to the angled portion of the bumper. This resulted in shackles that would not fit through the hole correctly. I ended up grinding down several of my shackles in order to allow them to swing freely in the D-rings. This is a production issue in my opinion and needs to be corrected. The solution of grinding down my own shackles did the trick but should not be necessary in my opinion. On the whole, I still consider the Expedition One Trail Series model to be one of the best bumpers on the market today. 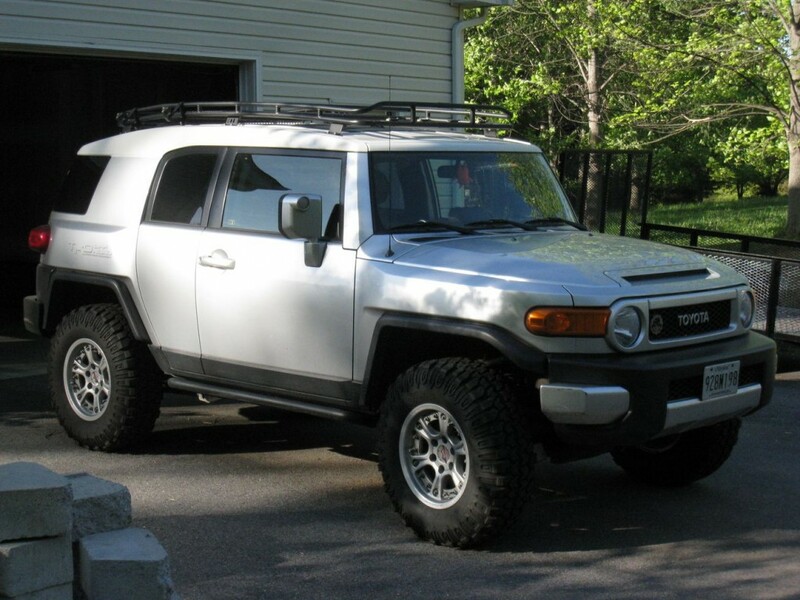 It offers top notch features in a design that works in harmony with the FJ Cruiser. 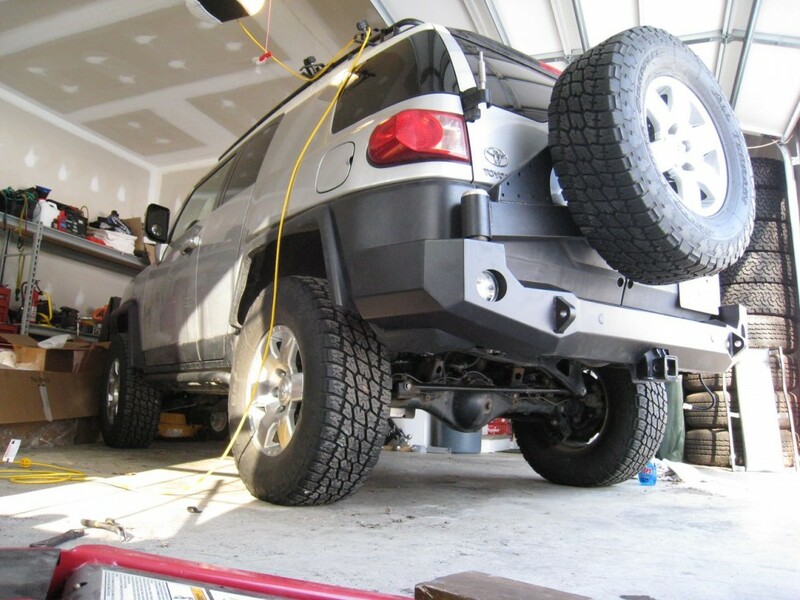 The minor issues I mention above could easily be addressed by Expedition One but even with these flaws, I would still highly recommend this bumper for those in need of a swing-out tire carrier solution. 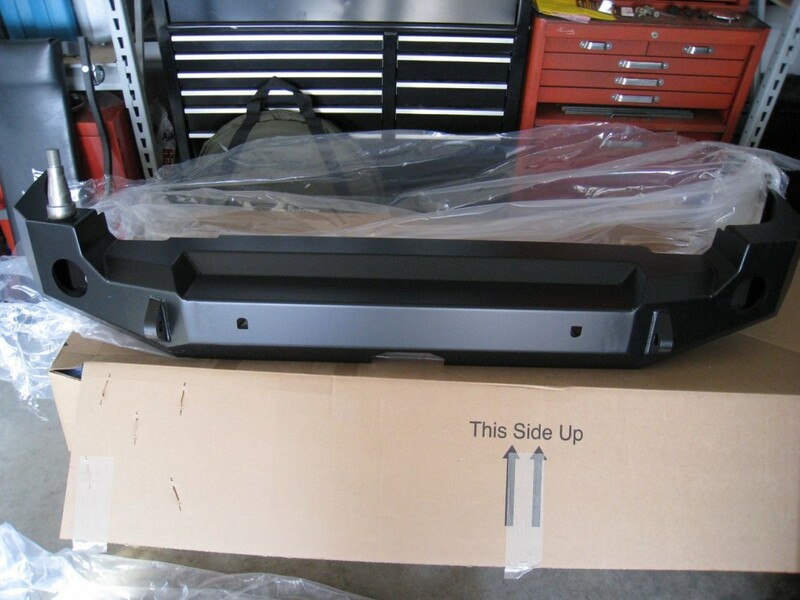 For those of you who are planning to purchase this bumper, I’ve linked to the Expedition One’s installation instructions below. I’d also like to thank OhioBenz in the FJ Cruiser forums for the detailed photos on trimming the plastic bumper. If anyone has any additional questions, please feel free to post using the comment form below. Thank you for this great write up. 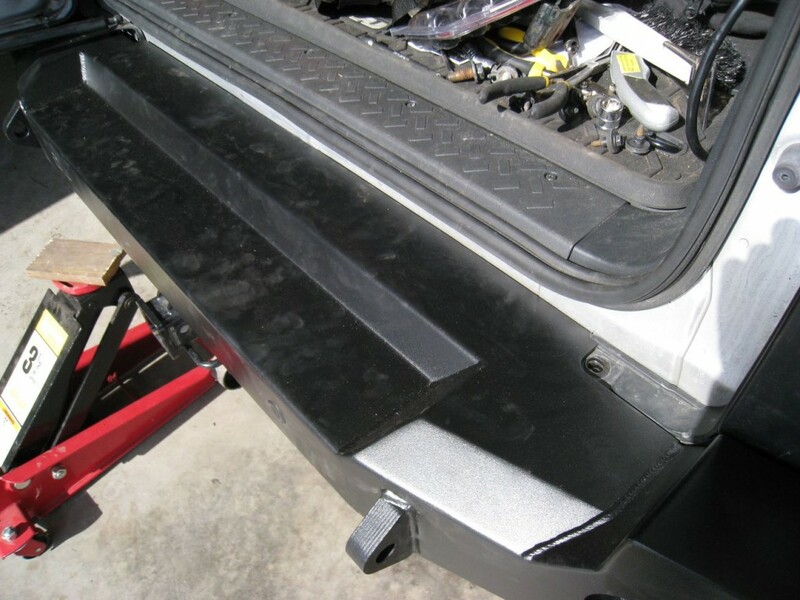 Since Expedition one was so incomplete on the install, I turned to your write up and was able to make my cuts and install my bumper much smoother. I have complained to EO, and they said they are working on it! I’m glad to hear the write up helped. There seem to be a lot of vendors out there that provide really quality products, but fall seriously short on proper installation documentation. I guess it’s a lower priority for some vendors, but I sure do appreciate the ones that take the time to add step-by-step instructions. I’m sure your feedback to EO has helped them realize that there is still room for improvement. Thanks for your comment! All, a standard NAPA o-ring pt# 727-2040 will fit nicely in the cap (there is a groove machined for the o-ring). No more water in the bearings, unsure why EXP One didn’t follow through on such a litle detail. This is a great tip! I’m just over 90,000 miles now and plan to do a bit of extra maintenance this Spring to get everything up to snuff. This o-ring “upgrade” has now been officially added to my to-do list. So thanks! Excellent write-up, nicely done~ You’ve saved me (and others, no doubt) a lot of time researching and figuring things out on their own. 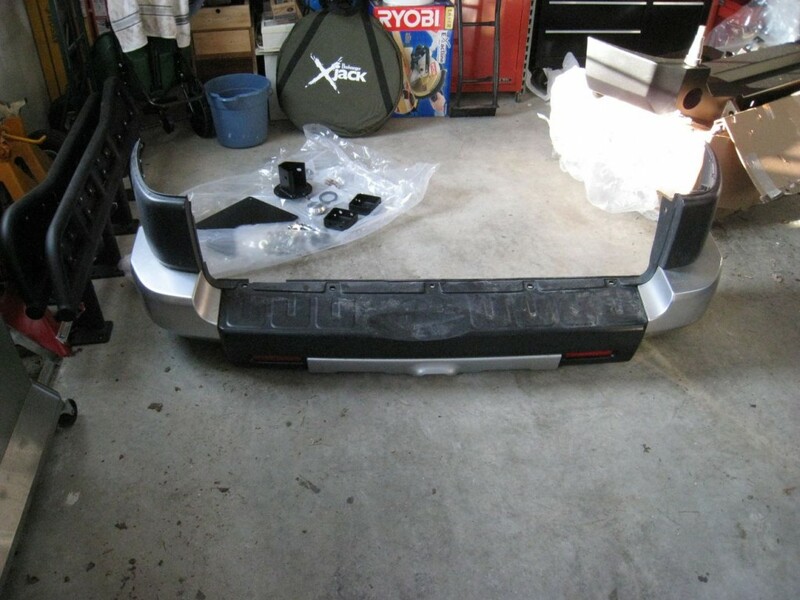 I’m looking into the EO bumper! Thanks for the compliments, Michael. Glad to be of help and good luck with your own purchase and installation! Love reading through your site. I have a couple questions if you don’t mind taking some time. 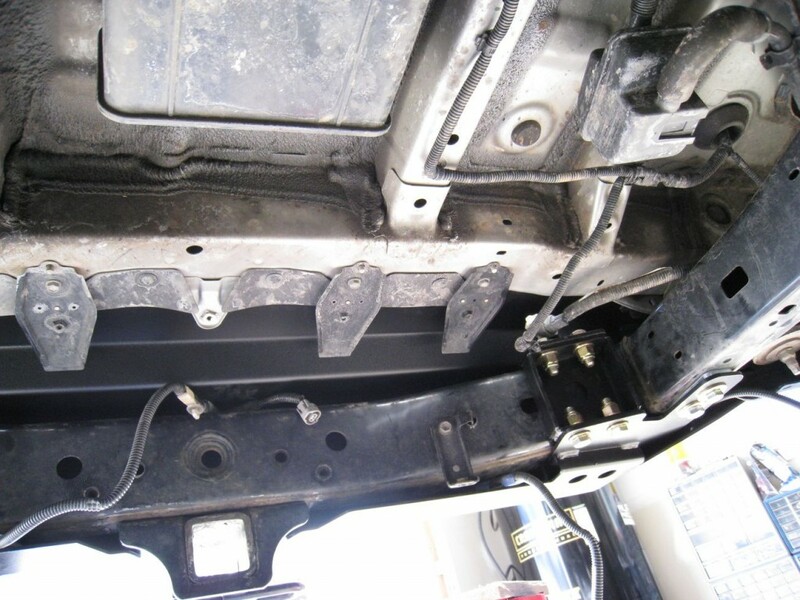 Does your EXP ONE rear swing out show any signs of rusting? I am looking into a swing out but I fear the battle of a rusting bumper. Right now I am running a 295x70x17 Nitto Trail Grappler spare, with a single MPAC. Right now I am having a very slight rub on the top of the latch instead of the bar going directly into the center of the mechanism. Time for a swingout? Hello again, Hewster. My Expedition One rear bumper does have some rust, but only in places where I’ve managed to drag it across the rocks. 🙂 The rest of the bumper’s powder coating has held up very well with no signs of rust. 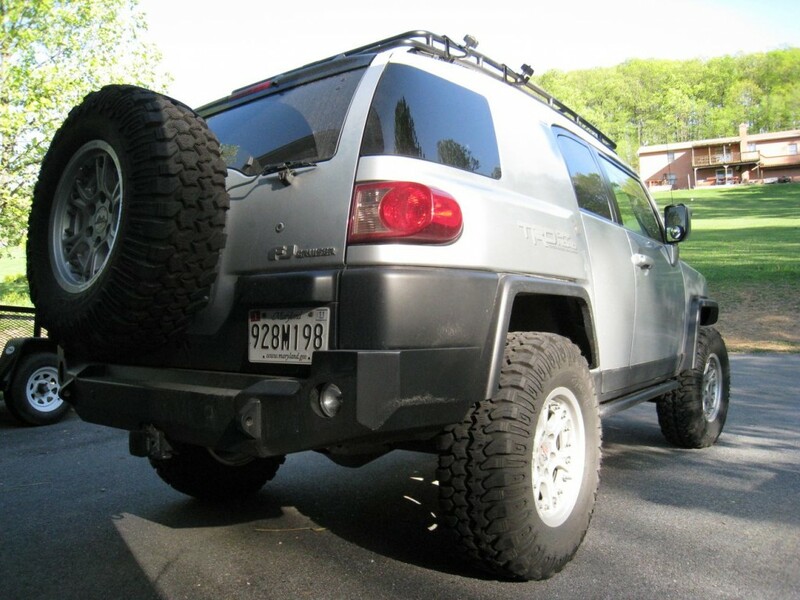 Prior to the TrXus MT, I was running a 295x70R17 Nitto Terra Grappler, mounted to the stock tire carrier on the FJ’s rear door. One of the main reasons I moved to the swing-out bumper was that my latch assembly for the door was starting to catch when closing the door. 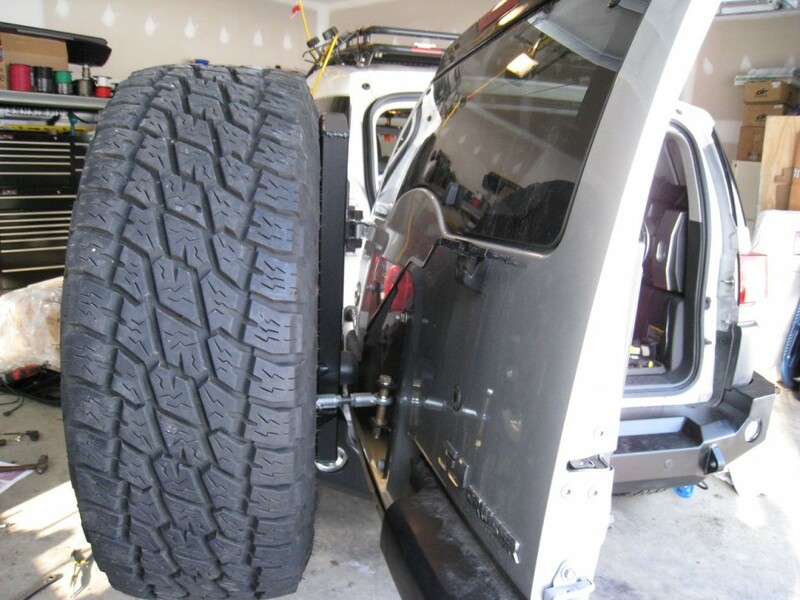 In other words, the weight of the larger Nitto tire combined with the weight of (2) MPAC racks and gear mounted to the inside of the door, was causing the door to sag. So rather than wait around for the problem to get worse, I opted to purchase the EO bumper with the swing-out. 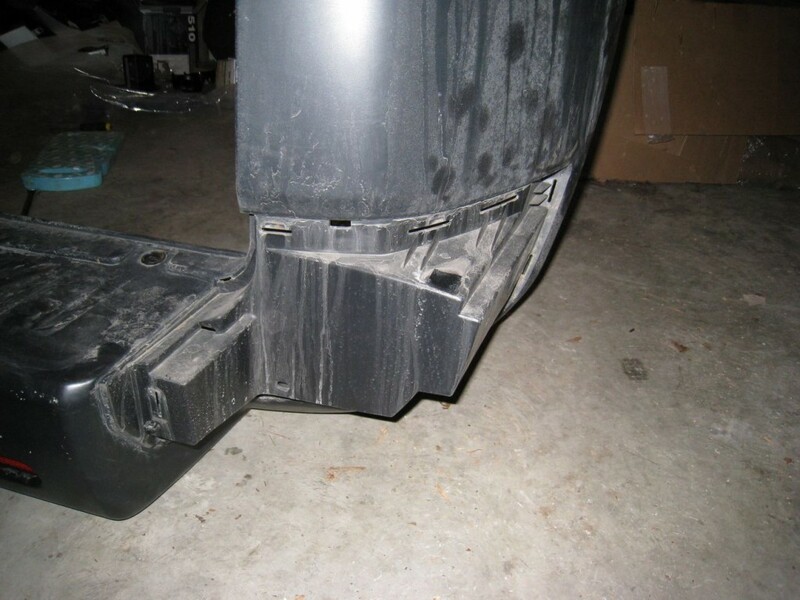 Thankfully, once the bumper was installed and the tire was moved from the rear door to the bumper instead, the door catch now aligns properly again and closes without issue. Just fitted Expo bar last weekend. Great write up, helped a lot. Australian FJCs had few bits different (towbar and rear pk sensors) which require few extra mods but everything else is spot on.